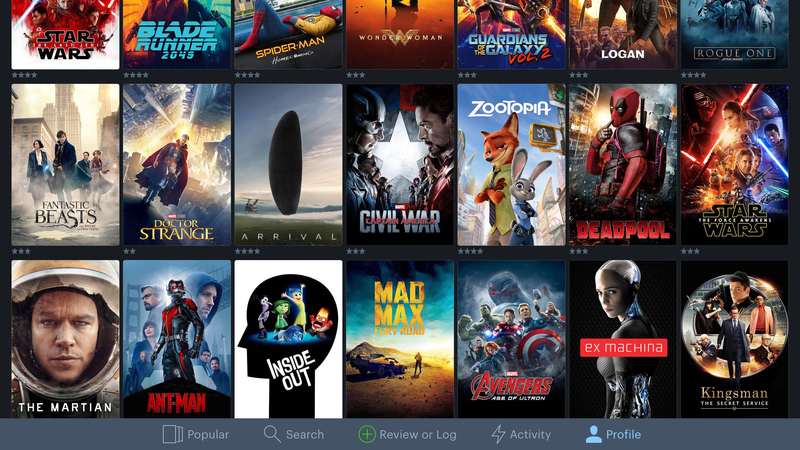 On this page you&apos;ll find the app of the week – our top new selection to try out, and check back every seven days where you&apos;ll find a new option to test. 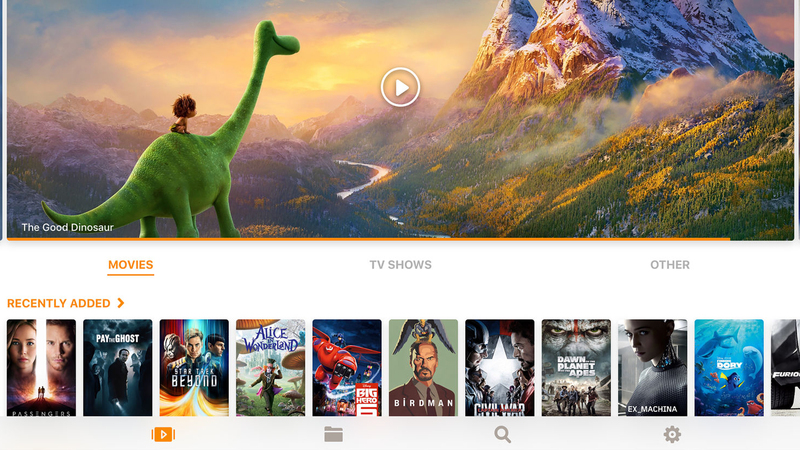 After that, it&apos;s the best entertainment apps (surely the best reason to own an iPad…) and a variety of categories on the following pages to tickle your fancy. Launch Center Pro is similar in concept to your home screen, but with a greater degree of flexibility and customization. 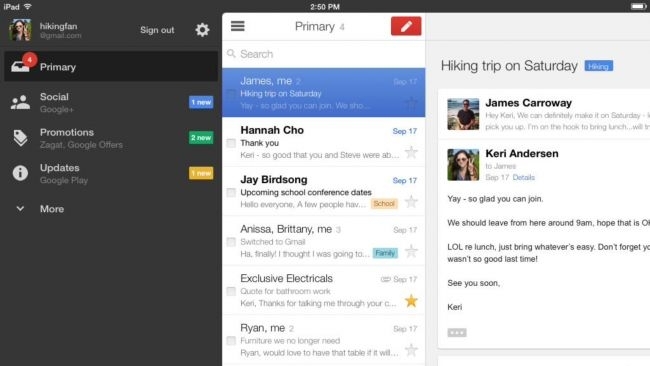 This makes it a good bet if you often work with the same apps, websites, or contacts. 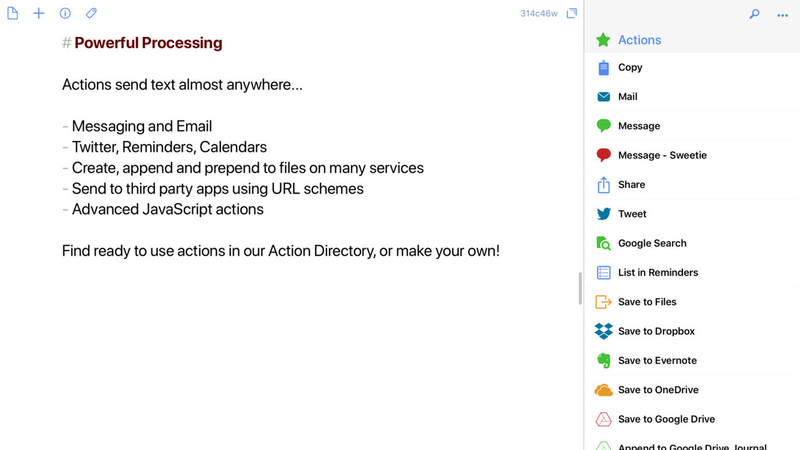 Setting things up is simple, and there’s a wide range of apps and actions to work through. Although you’ll need paid IAP to unlock location-based actions and scheduling – along with removing the actions limit – there’s still plenty you can do for free. 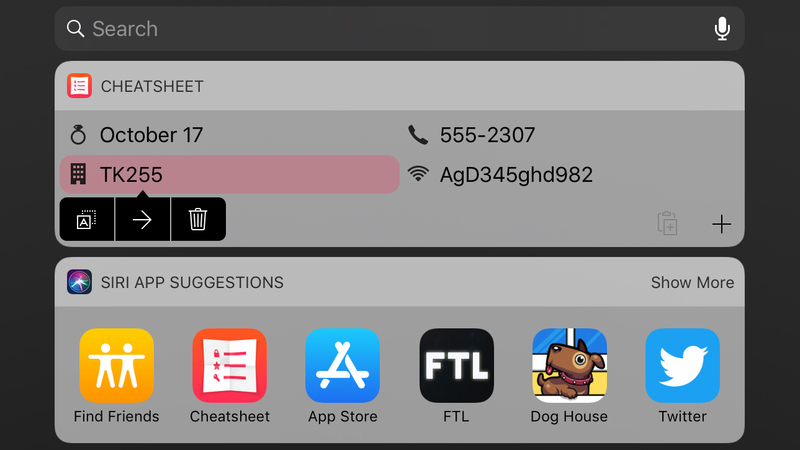 Even if you don’t use the app that much, Launch Center Pro’s widget makes getting at commonly used items a lot easier. 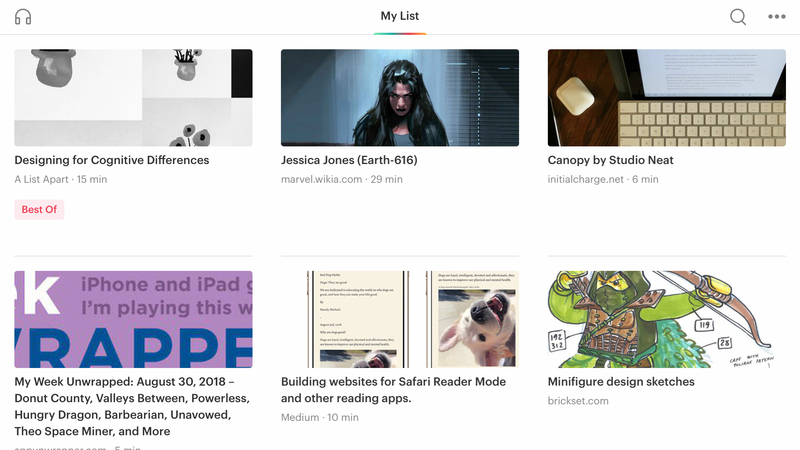 But the app is really where it’s at, bringing to your iPad a speed dial for your favorite things to launch, which you can easily rework whenever you feel the need. Ground: Local Breaking News is on a mission to widen news consumption, by way of quick access to varied takes on events. 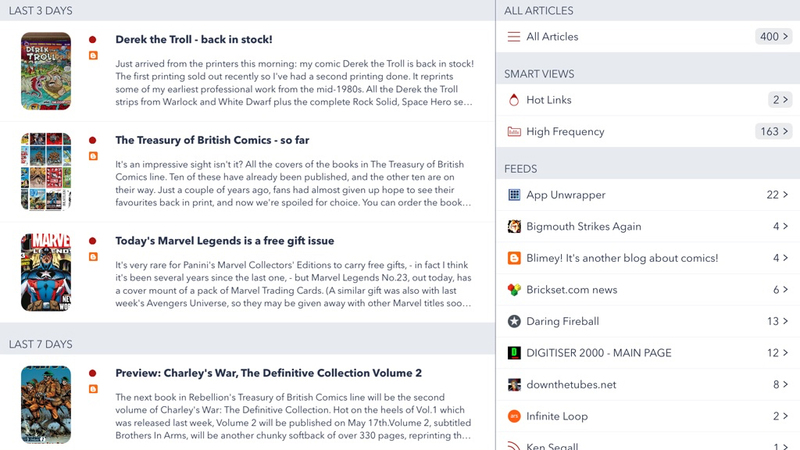 After outlining your news interests (which can later be tweaked), you’ll get a list of headlines. The app doesn’t do any editorializing, and instead offers the bare basics, alongside source lists. The concept doesn’t always work. 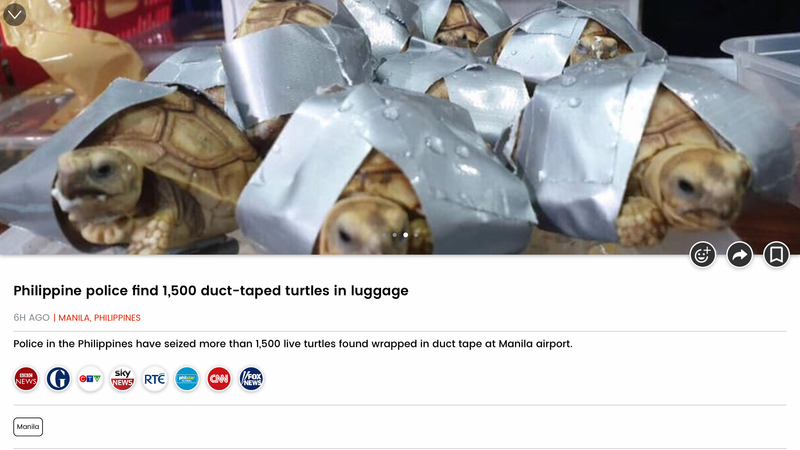 Some stories have only a single source, and Ground: Local Breaking News’s citizen journalism from ‘people on the ground’ is mostly a wall of silence. But when it clicks, Ground: Local Breaking News is a boon, enabling you to zip between The Guardian, Fox News, and everything in between. 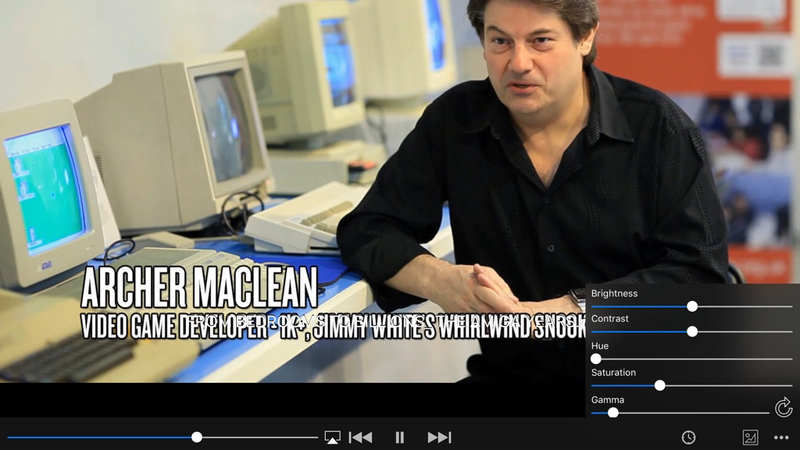 It’s perhaps unlikely to become your main newsreader – Ground News is a bit clunky for that. But as another option, to get alternate takes on a story, it’s a solid download. 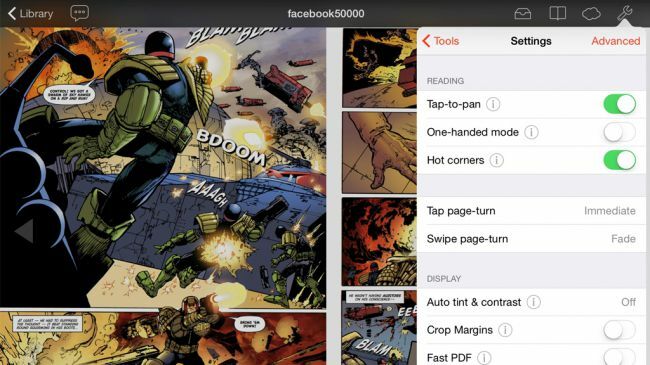 The majority of comic-book readers on the App Store are tied to online stores, and any emphasis on quality in the actual apps isn&apos;t always placed on the reading part. But with many more publishers embracing DRM-free downloads, having a really great reading app is essential if you&apos;re into digital comics. 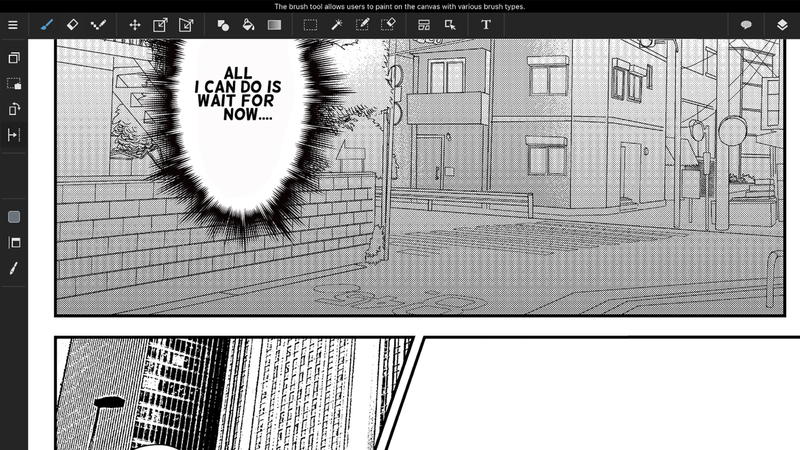 Chunky Comic Reader is the best available on iOS. 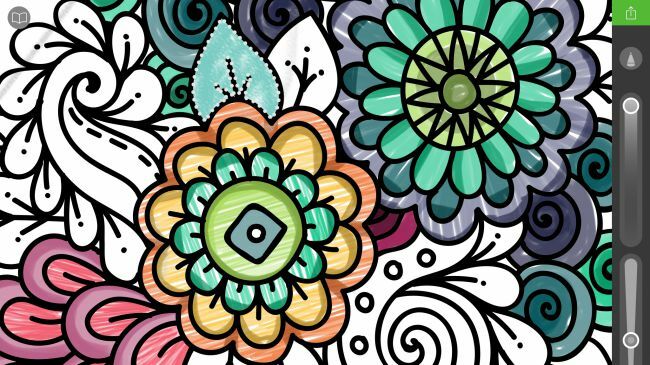 Adult colouring books are all the rage, proponents claiming bringing colour to intricate abstract shapes helps reduce stress – at least until you realise you&apos;ve got pen on your shirt and ground oil pastels into the sofa. You&apos;d think the process of colouring would be ideal for iPad, but most relevant apps are awful, some even forcing tap-to-fill. That is to colouring what using a motorbike is to running a marathon – a big cheat. Pigment is an exception, marrying a love for colouring with serious digital smarts. 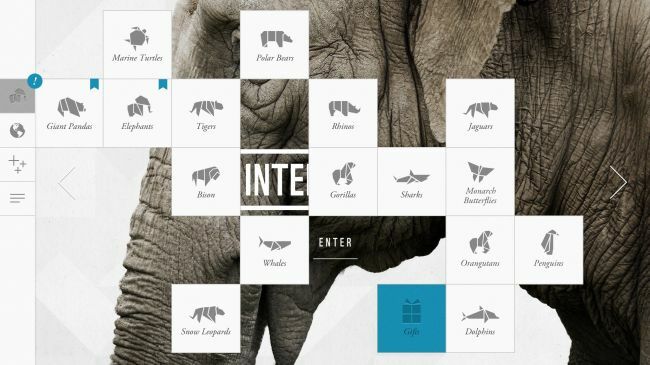 With a noodly soundtrack playing in the background, WWF Together invites you to spin a papercraft world and tap points of interest to learn more about endangered species. 16 creatures get fuller treatment – a navigable presentation of sorts that hangs on a key characteristic, such as a panda&apos;s charisma, or an elephant&apos;s intelligence. 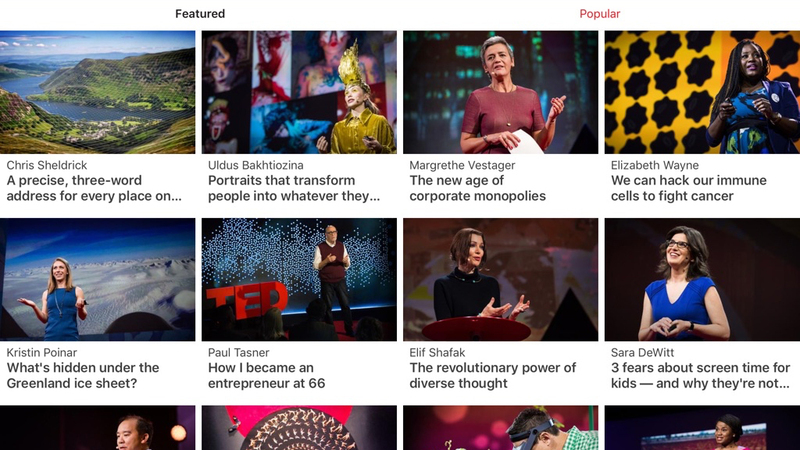 These sections are arranged as a three-by-three grid, each screen of which gives you something different, be it statistics, gorgeous photography, or a &apos;facetime&apos; movie that gives you a chance to get up close and personal. 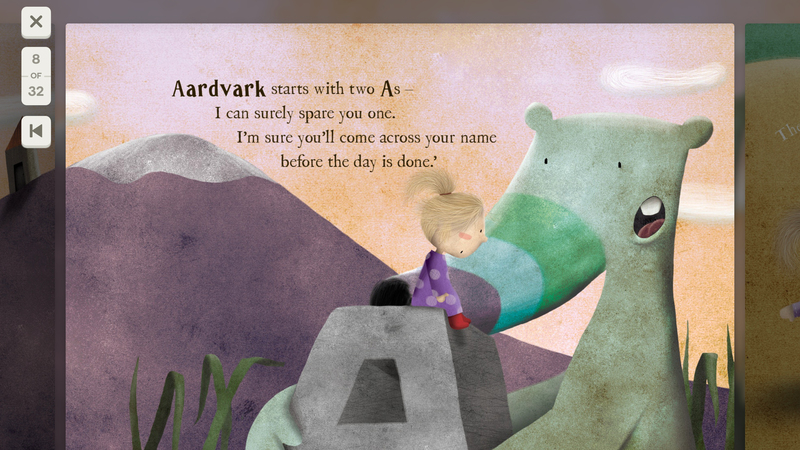 Apps that mix charity and education can often come across as dry and worthy, but WWF Together is neither. It&apos;s informative but charming, and emotive but fun. For a mix of free and paid apps, check out our amazing Best iPad apps chart. If you&apos;re more into a smaller form-factor or have your eye on the iPhone X check out our list of the best free iPhone apps. Haven&apos;t bought an iPad yet and not sure which is best? We&apos;ve got them listed on our best iPad ranking – or you can check out the best tablets list to see the full range available now. 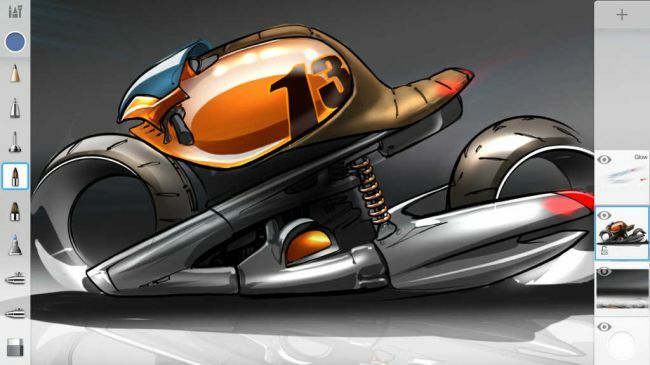 Autodesk SketchBook is a drawing and sketching app. 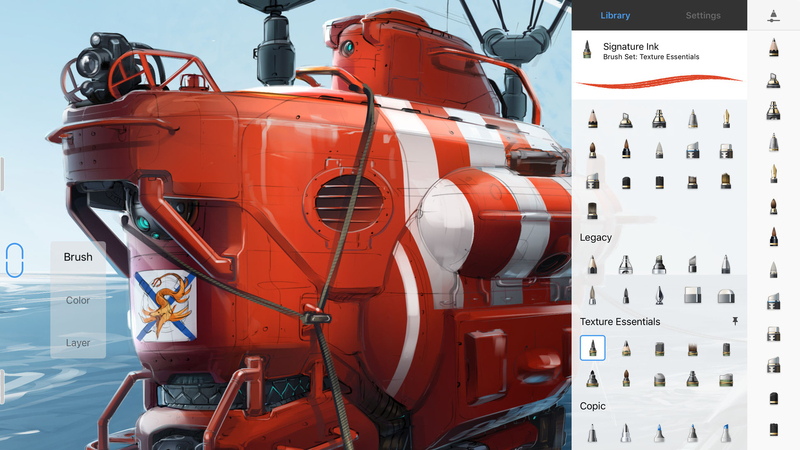 Toolbars sit at the screen edges, providing quick access to a slew of editable brushes, a comprehensive layers system, and tools for drawing shapes, adding text and manipulating selections. 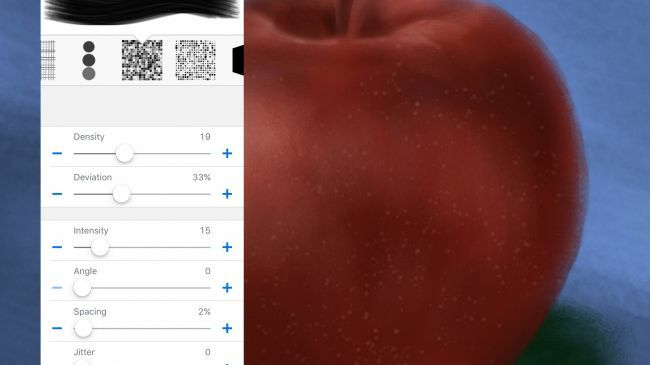 Flow and size sliders sit on the brushes palette, so you can easily adjust your brush’s properties. 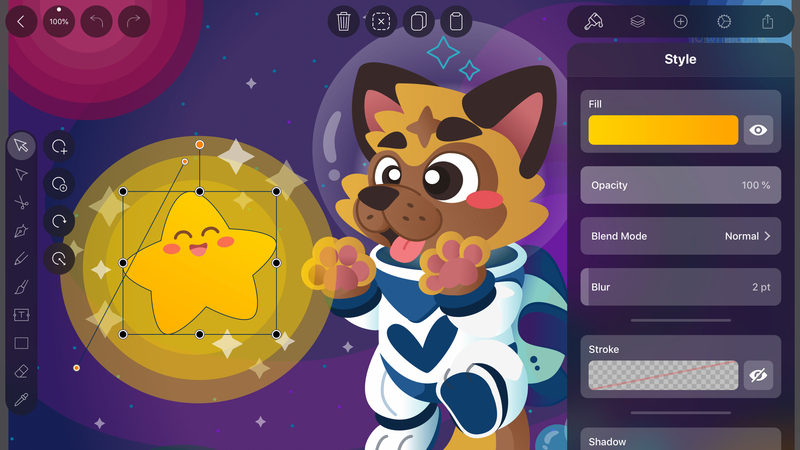 Tap the full-screen button and most of the interface falls away, leaving you with your canvas, but brushes, color pickers and layers always remain within easy reach, accessed by pressing a small on-screen switch. 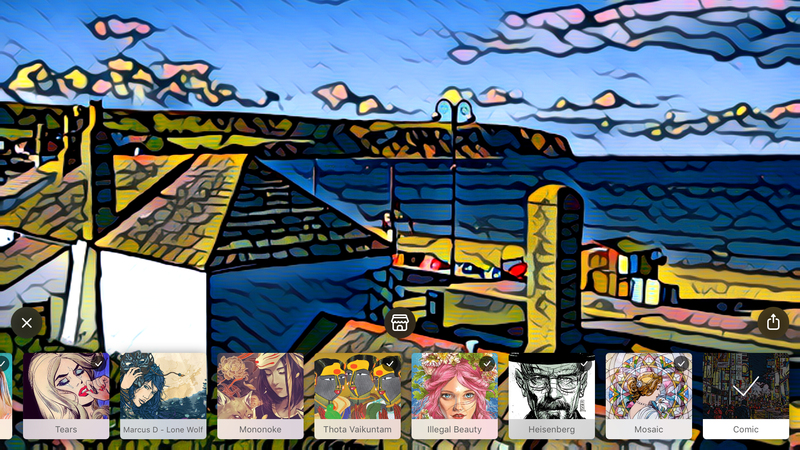 This means that with a little time spent getting used to the interface, SketchBook provides as much power as you need – and for no outlay whatsoever. That makes it a good bet whether you’re an occasional doodler, or a jobbing artist wanting something powerful yet usable for working on their iPad. 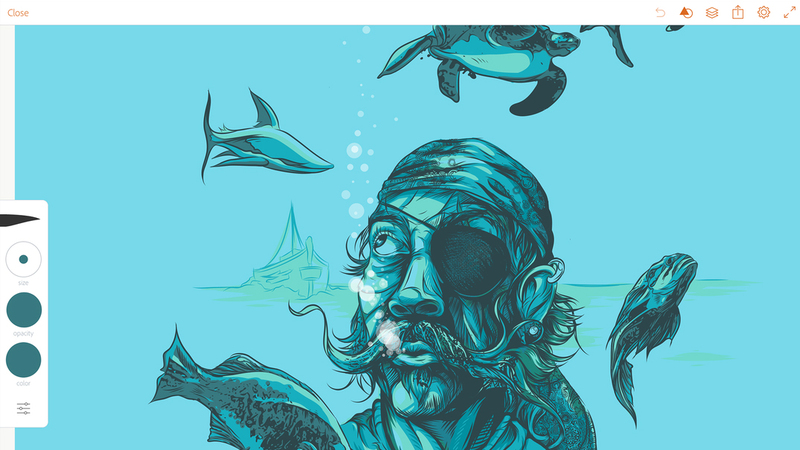 Vectornator is a professional-quality vector illustration app, which bafflingly lacks a price tag. We say bafflingly because this is no half-hearted freebie. 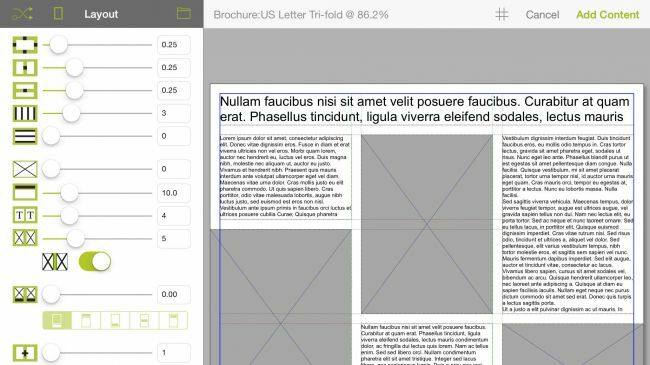 Vectornator is packed with tools and polish, whether you want to sketch a vector doodle whose lines can always be tweaked and adjusted, or work on a new app design using a built-in template. 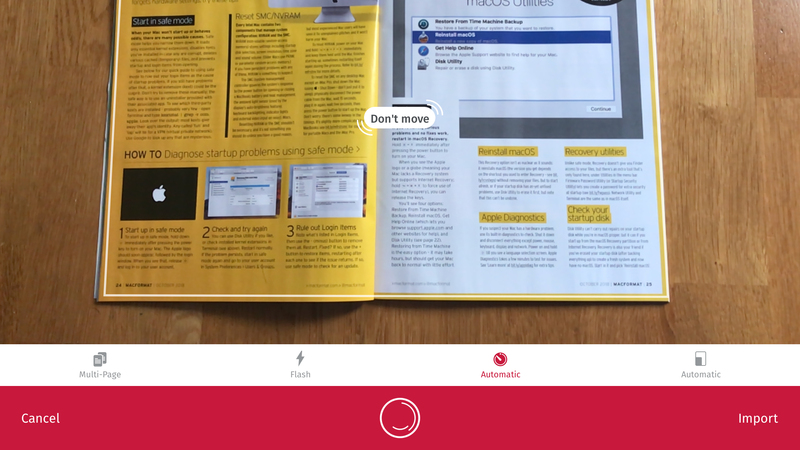 On iPad, the app feels almost effortless in use. Tools sit at the screen’s edges, enabling fast access, and a settings pane can be opened as needed. 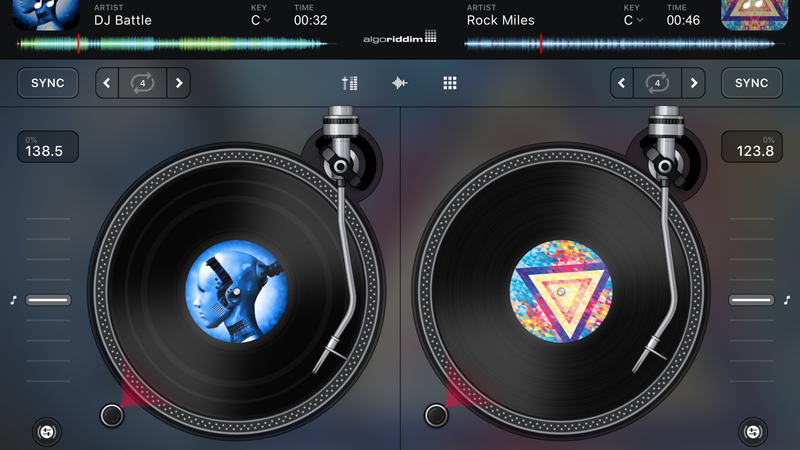 Buttons and sliders are finger-friendly, rather than aping the fiddly setups you’d find in desktop fare. 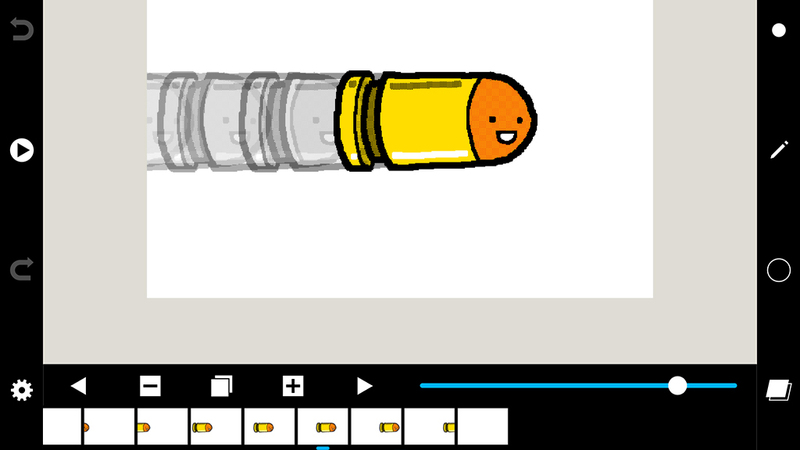 With a bunch of built-in examples to help you find your way, a range of export options, and stylus support, Vectornator would be a bargain at a tenner. As a freebie, it’s a must. Atlas Wallpaper does pretty much what you’d expect: turns maps into background wallpapers for your iPad. 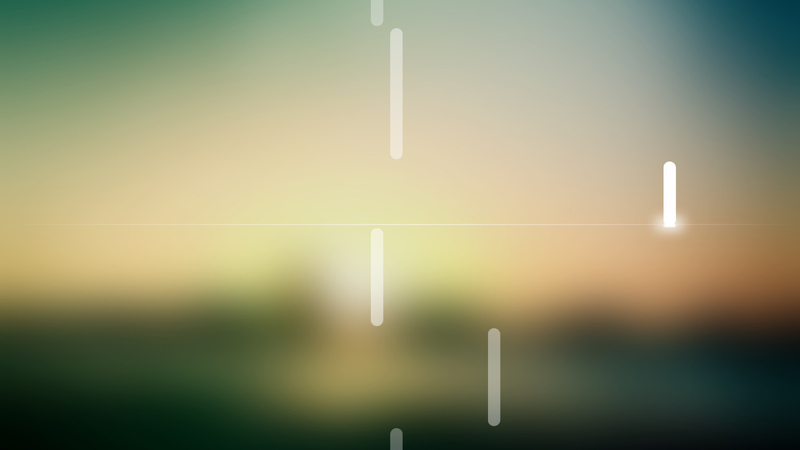 That might sound like an odd idea, but abstract imagery based on road systems and waterways can work really well on your Lock or Home screen. 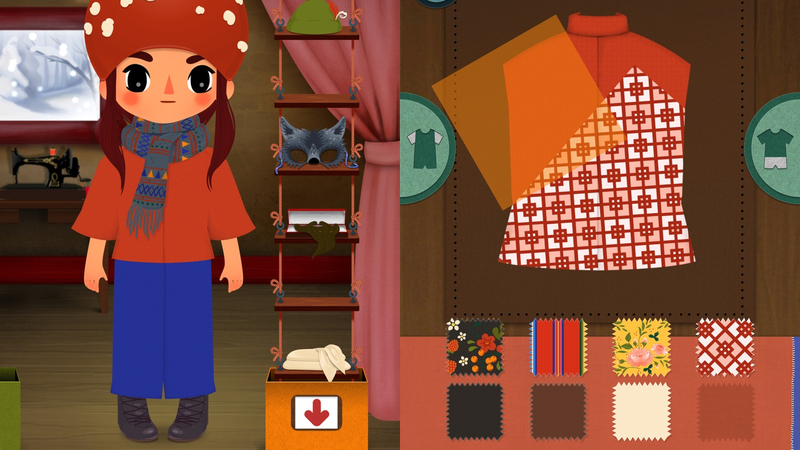 The app includes a modicum of customization. 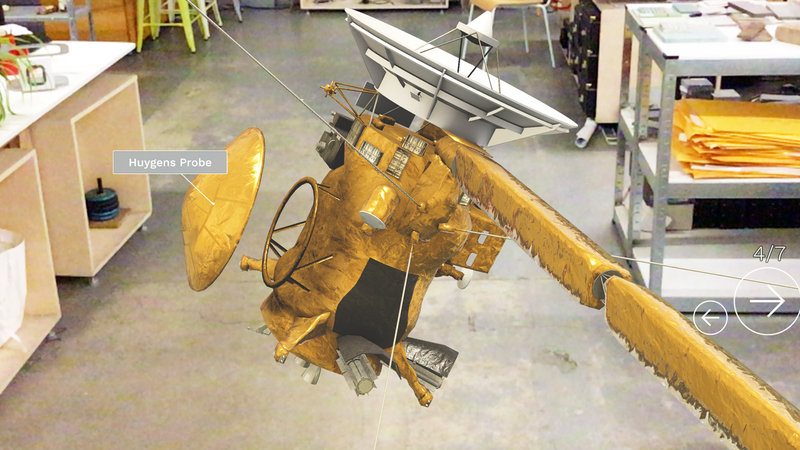 You can select a location, zoom in, and choose a color scheme from a range of options. 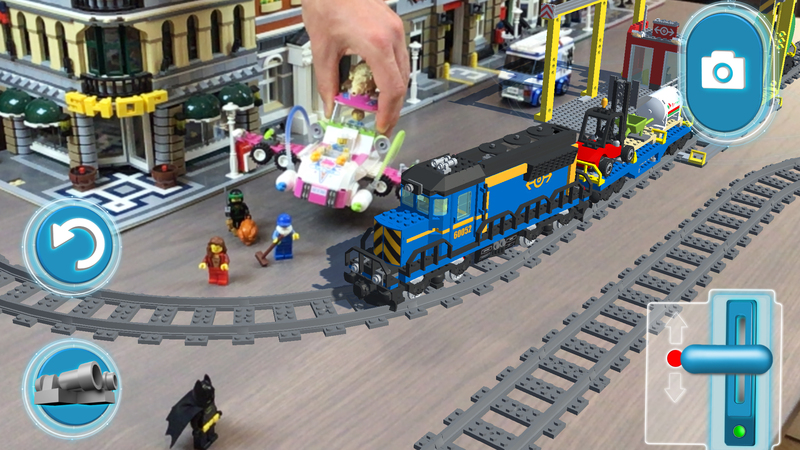 The resulting image can then be exported to Photos, ready for applying as a background. 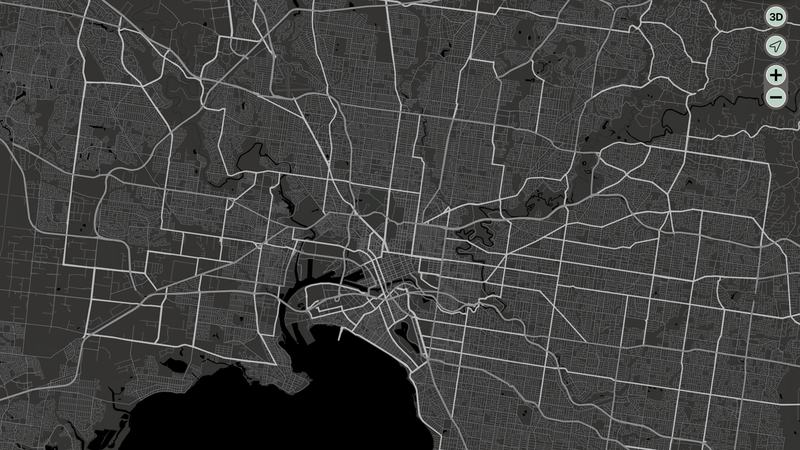 For a one-off $3.99/£3.99/AU$5.99, you can unlock the app’s premium features, including custom styles (useful if you want some really subtle grey-on-black), and desktop/Apple Watch export sizes. 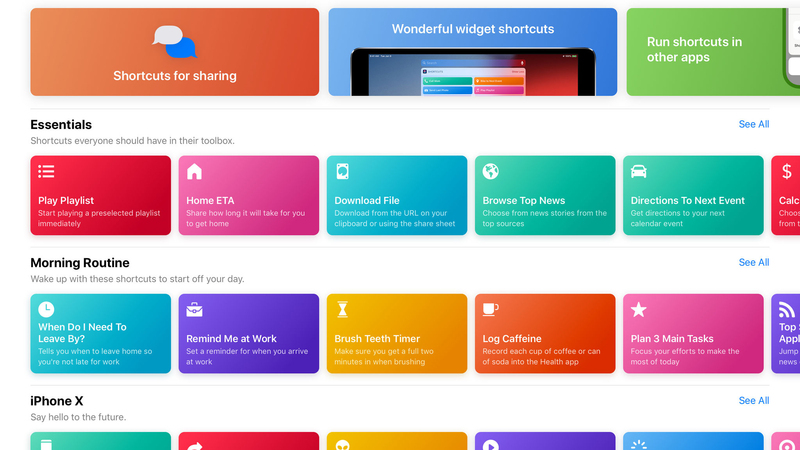 But even for free, this is a great option for having something a bit different behind all your app icons. 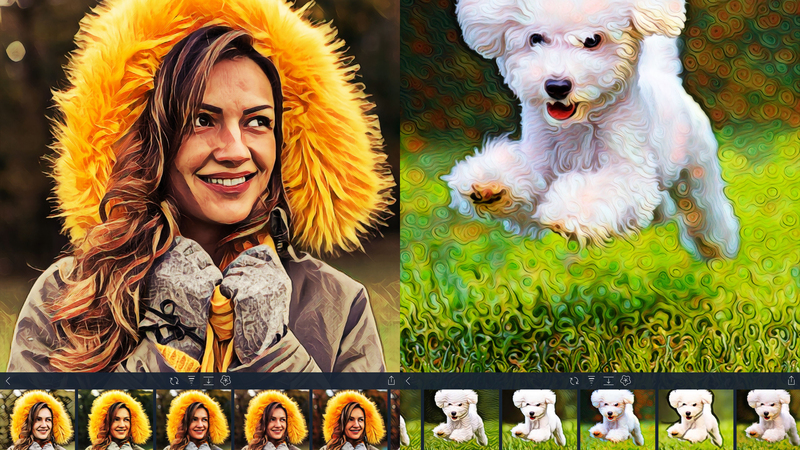 Artomaton – The Motion Painter is a little like Prisma, in that it uses AI to transform photos into something that looks like it was painted or sketched. 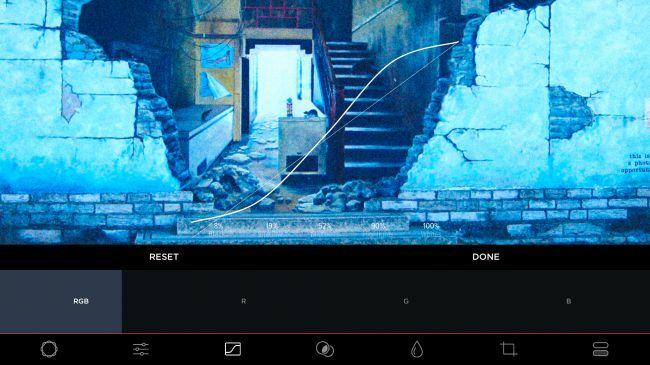 However, this isn’t a single-tap filter app; Artomaton wants to afford you at least some control over your creations. 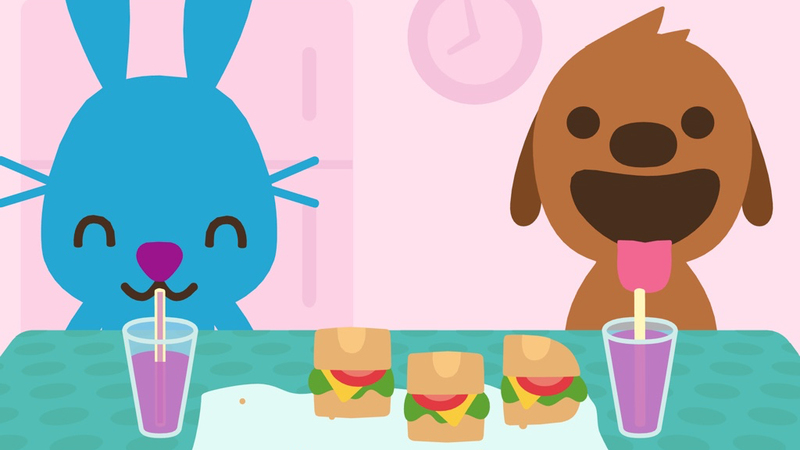 We tend to quickly shift children from finger-painting to using much finer tools, but the iPad shows there&apos;s plenty of power in your digits — if you&apos;re using the right app. 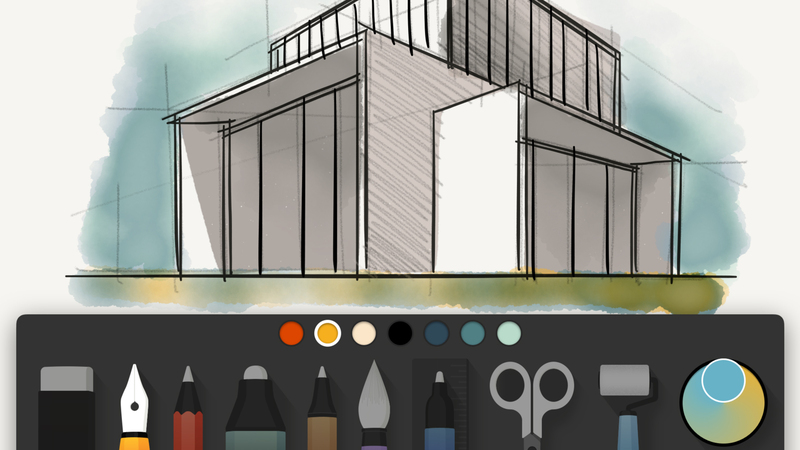 Autodesk SketchBook provides all the tools you need for digital sketching, from basic doodles through to intricate and painterly masterpieces; and if you&apos;re wanting to share your technique, you can even time-lapse record to save drawing sessions to your camera roll. 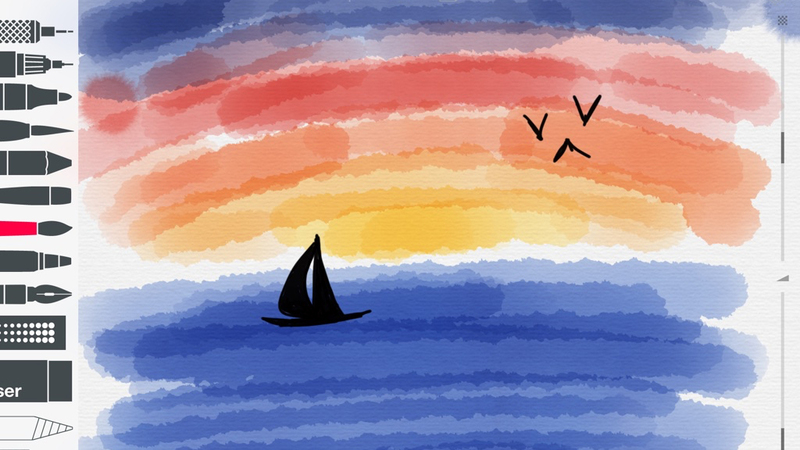 The original Brushes app was one of the most important in the iPhone&apos;s early days. With Jorge Colombo using it to paint a New Yorker cover, it showcased the potential of the technology, and that an iPhone could be used for production, rather than merely consumption. 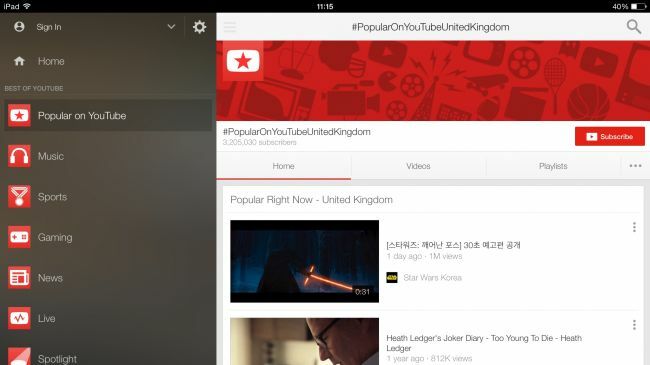 On the iPad, you can take advantage of the much larger screen. But the main benefit of the app is its approachable nature. It&apos;s extremely easy to use, but also has plenty of power for those who need it, not least in the layering system and the superb brush designer. 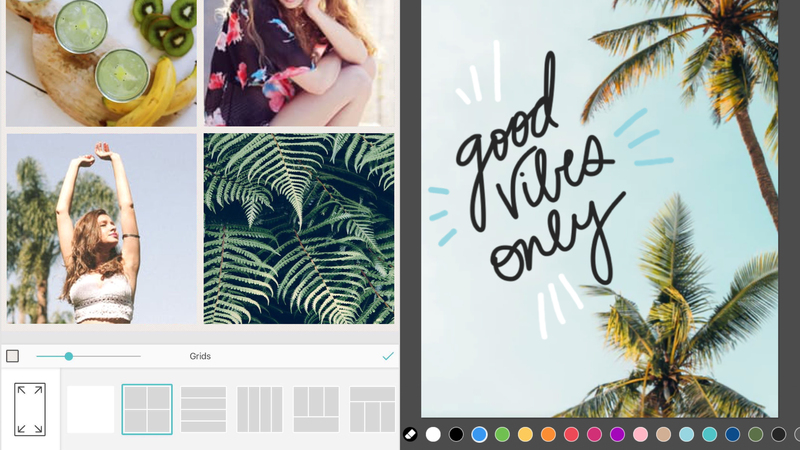 Because of its scope, Canva isn&apos;t as immediate as one-click automated apps in this space, but the interface is intuitive enough to quickly grasp. 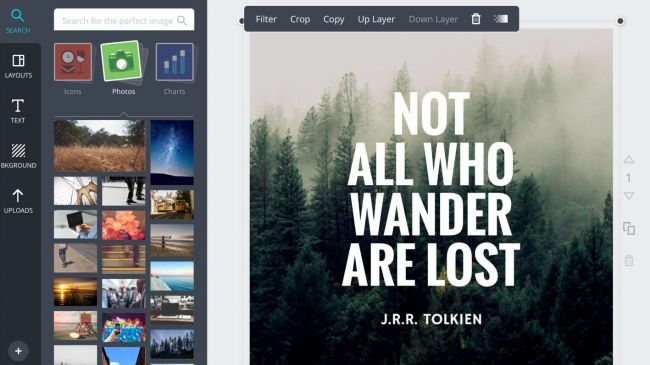 Our only niggle is the lack of multi-item selection, but with Canva being an online service, you can always fine-tune your iPad creations in a browser on the desktop. 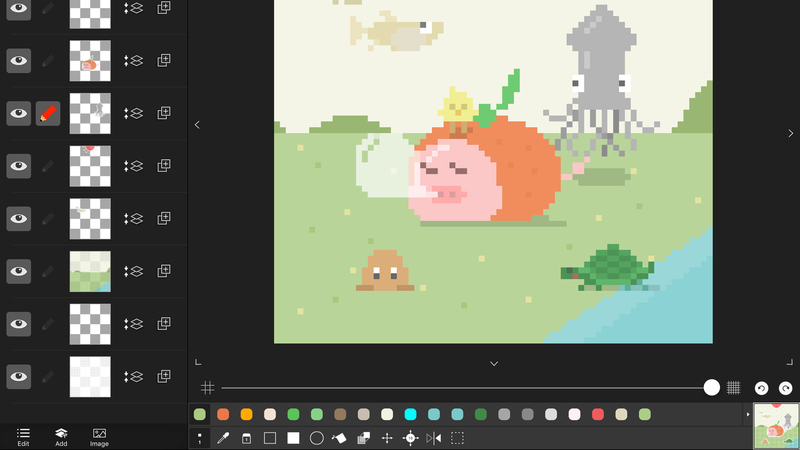 Despite being lumbered with an awkward name, Pixel art editor – Dottable is a usable and nicely-conceived app. 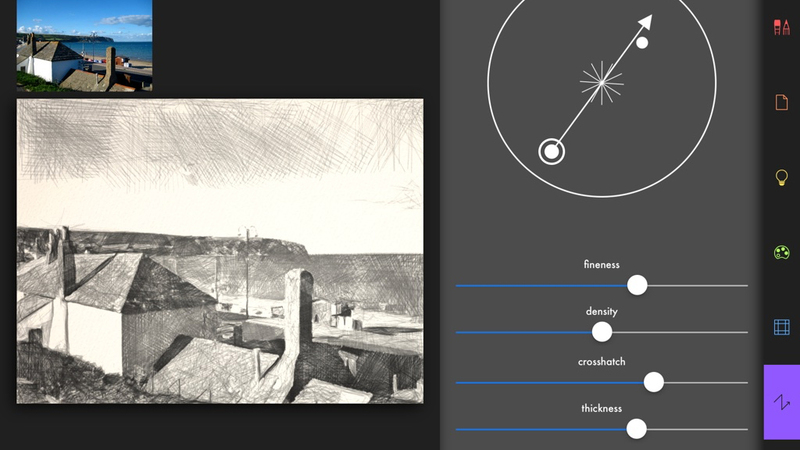 Choose a canvas size and then the interface is split between your drawing area, layers, and tools. 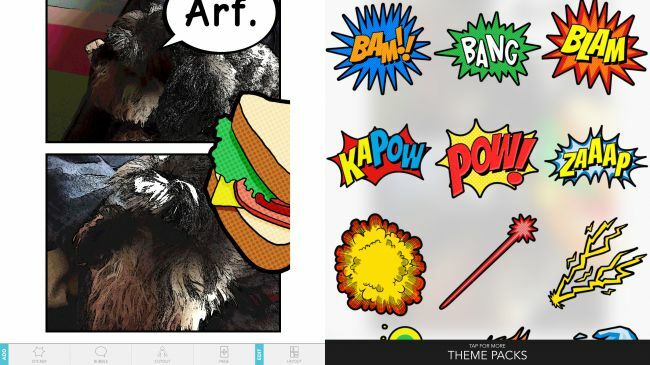 Although it&apos;s apparently designed for kids aged 9-11, Seedling Comic Studio comes across a lot like a free (if somewhat stripped back) take on iPad classic Comic Life. 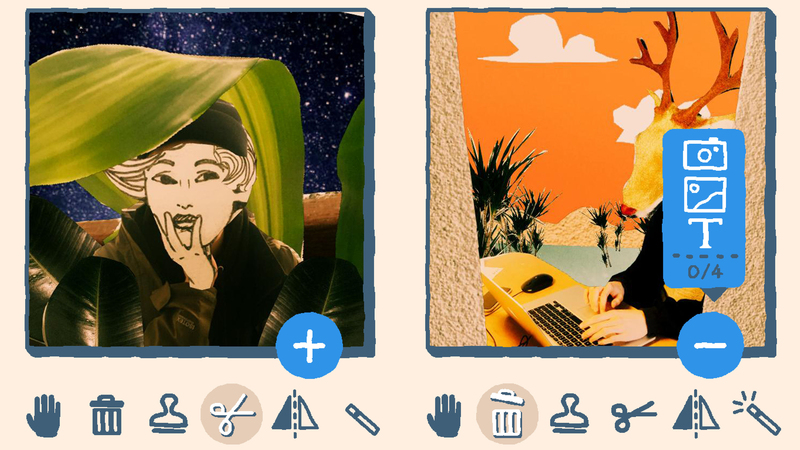 You load images from your Camera Roll (or take new ones with the camera), arrange them into comic-book frames, and can then add all manner of speech balloons, filters and stickers. 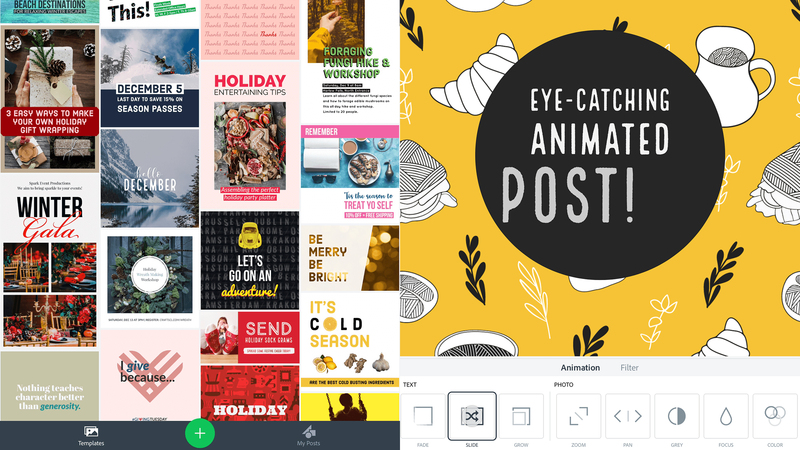 But for no outlay at all, there&apos;s plenty of scope here for comic-book creation, from multi-page documents you can output to PDF, to amusing poster-like pages you can share on social networks. And that&apos;s true whether you&apos;re 9 or 49. Maybe it&apos;s just our tech-addled brains, but often we find it a lot easier to focus on an app than a book, which can make learning things the old fashioned way tricky. That&apos;s where Khan Academy comes in. 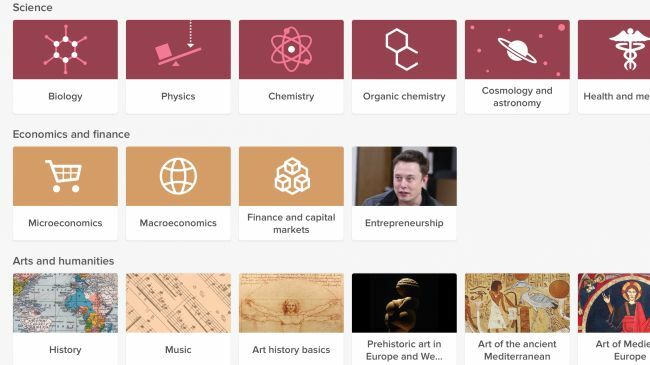 This free app contains lessons and guidance on dozens of subjects, from algebra, to cosmology, to computer science and beyond. 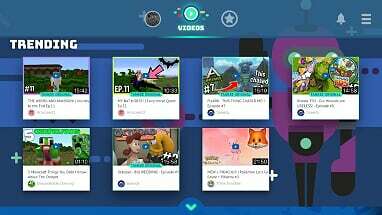 As it&apos;s an app rather than a book it benefits from videos and even a few interactive elements, alongside words and pictures and it contains over 10,000 videos and explanations in all. 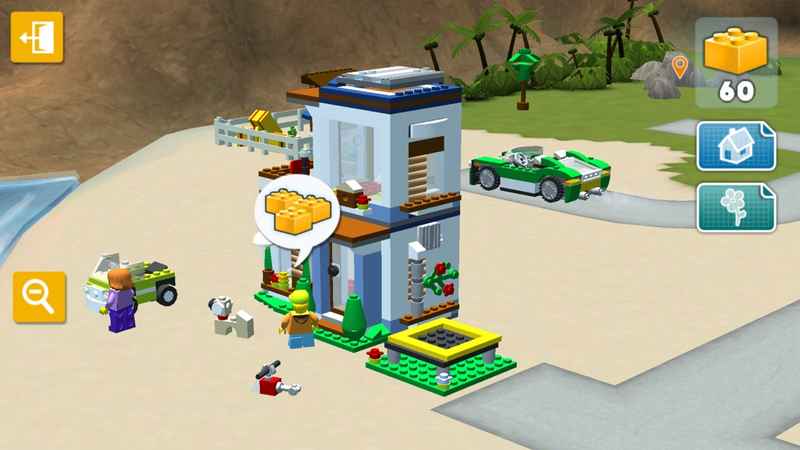 Everything is broken in to bite-sized chunks, so whether you&apos;ve got a few minutes to spare or a whole afternoon there&apos;s always time to learn something new and if you make an account it will keep track of your progress and award achievements. Unlike Duolingo, Py doesn’t have any interest in being free forever. 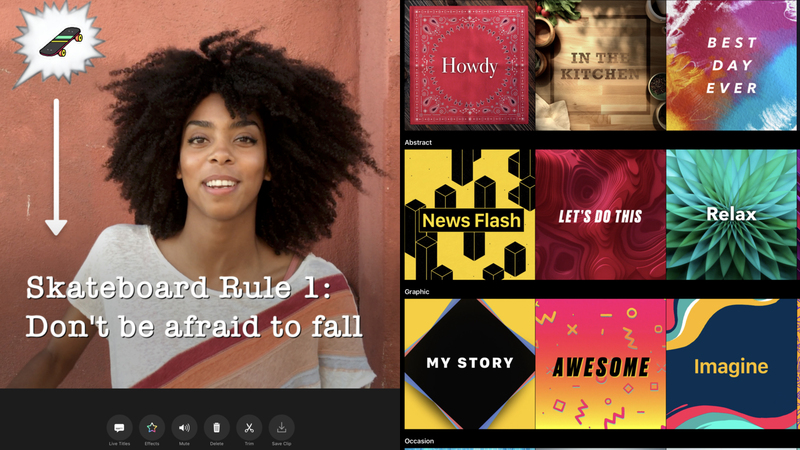 A premium tier locks a chunk of content behind a monthly fee (along with access to mentors, who can help you through tough spots via an integrated chat). 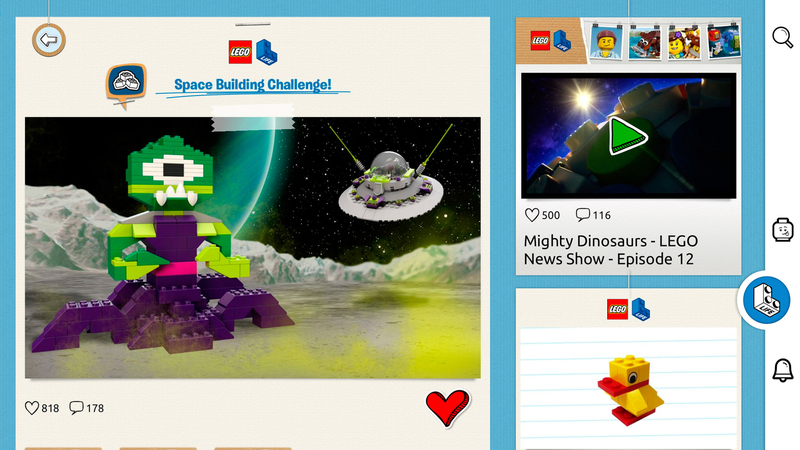 But for no outlay, there’s still plenty here for budding website – and app – creators to get stuck into. 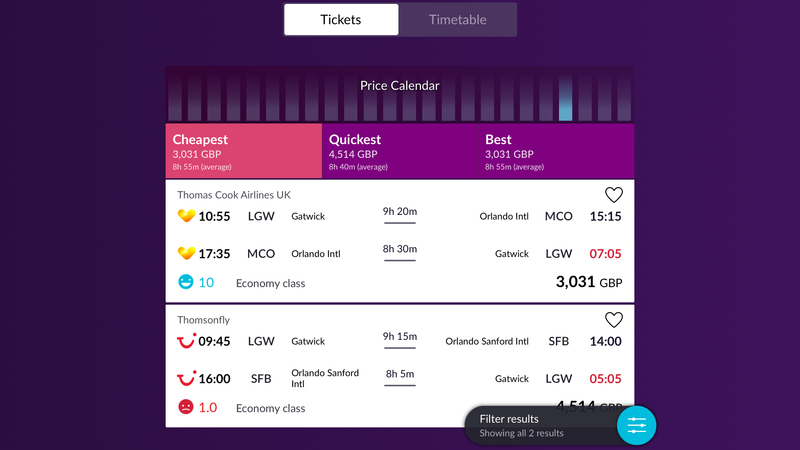 Unlike TechRadar favourite Sky Guide, there&apos;s no means to drag a finger to manually move the sky around – you must always point your iPad&apos;s display where you want to look – but there&apos;s no price-tag either. And for free, this app does the business. 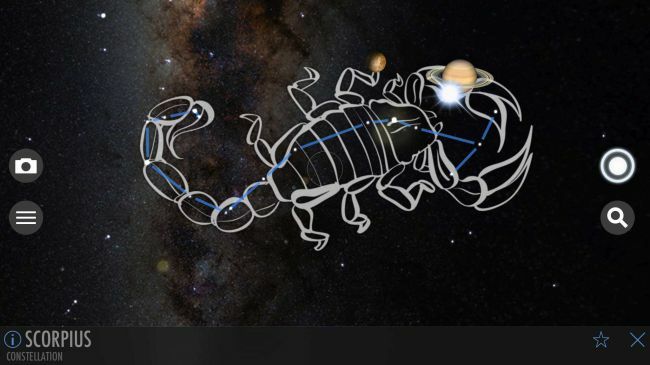 There are minimal ads, a noodly atmospheric soundtrack, an optional augmented reality view (to overlay app graphics on to the actual sky), and a handy search that&apos;ll point you in the direction of Mars, Ursa Major, or the International Space Station. 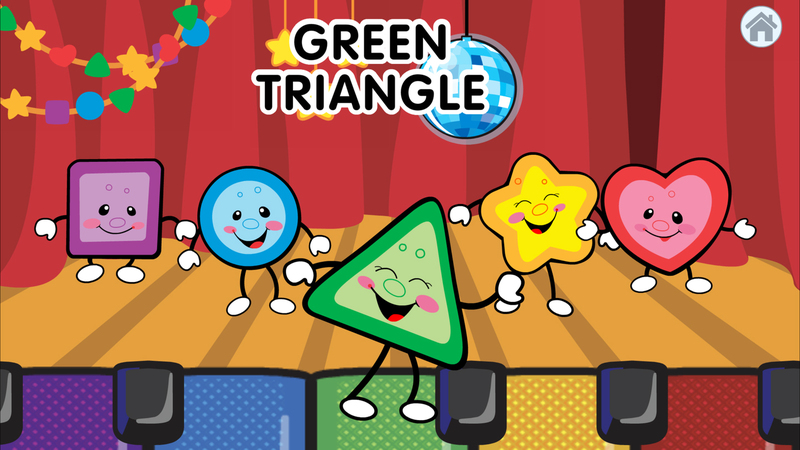 Learning a musical instrument isn&apos;t easy, which is probably why a bunch of people don&apos;t bother, instead pretending to be rock stars by way of tiny plastic instruments and their parent videogames. This proves remarkably effective, and your iPad merrily keeps track of your skills (or lack thereof) through its internal mic. 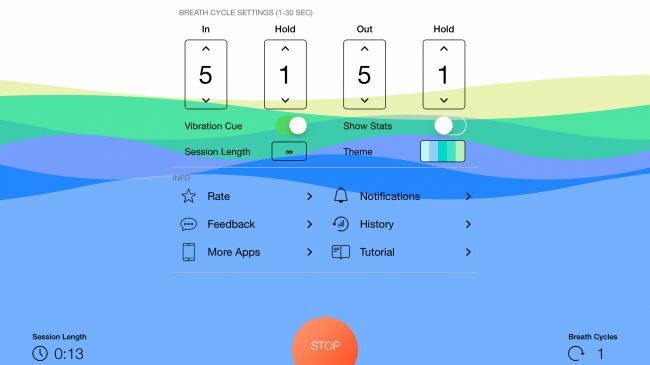 The difficulty curve is slight, but the app enables you to skip ahead if you&apos;re bored, through periodic &apos;test&apos; rounds. Most surprisingly, for free you get access to everything, only your daily lesson time is limited. 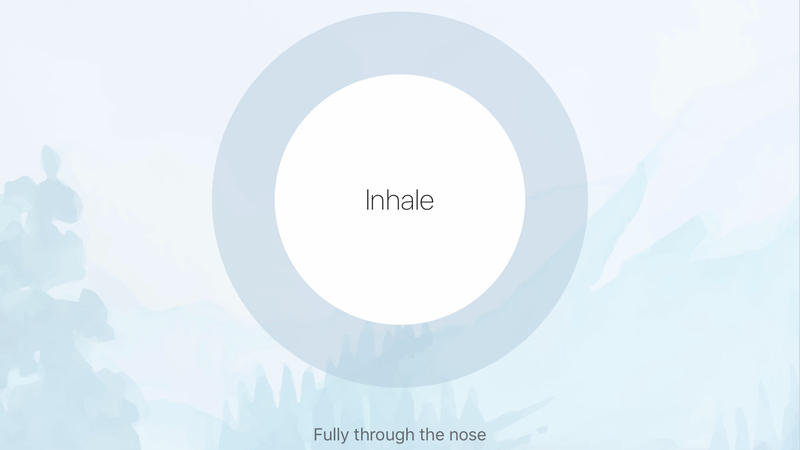 Oak – Meditation & Breathing is an app that wants you to relax. It’s split into sections for meditation, breathing, and sleeping. 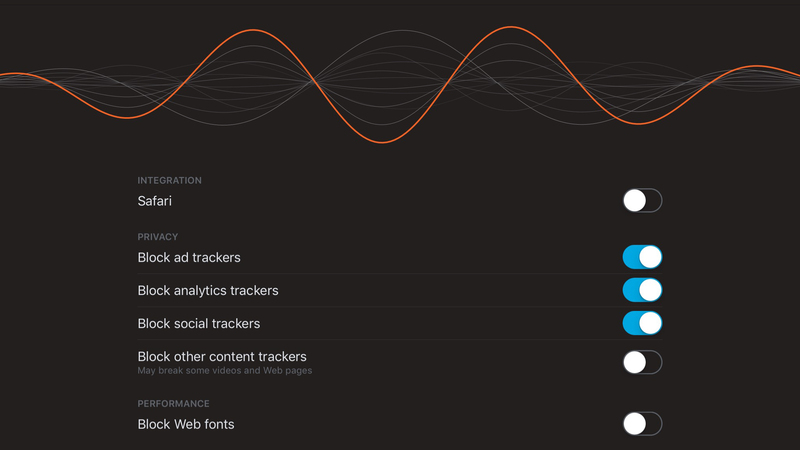 A stats area provides the means to track progress, with you gaining streaks and winning badges through regular use. 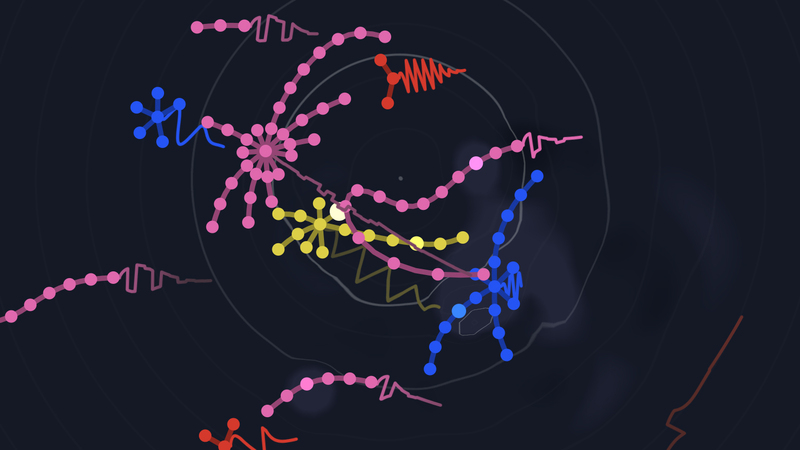 The visualization is reminiscent of a minimalist illustrator&apos;s take on a wave rising and falling on the screen, but you can also close your eyes and have the iPad vibrate for cues. 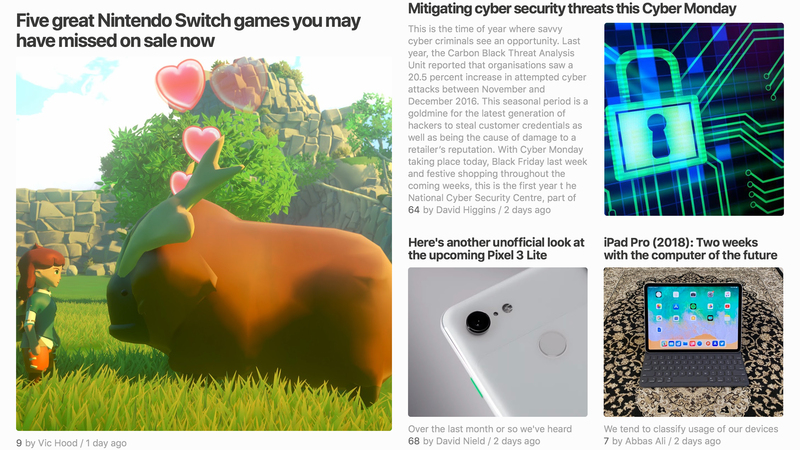 For free, there are some ads, which aren&apos;t pretty, but don&apos;t distract too much. For $1.99/£1.99/AU$2.99, you can be rid of them, along with adding themes and usage history stats. 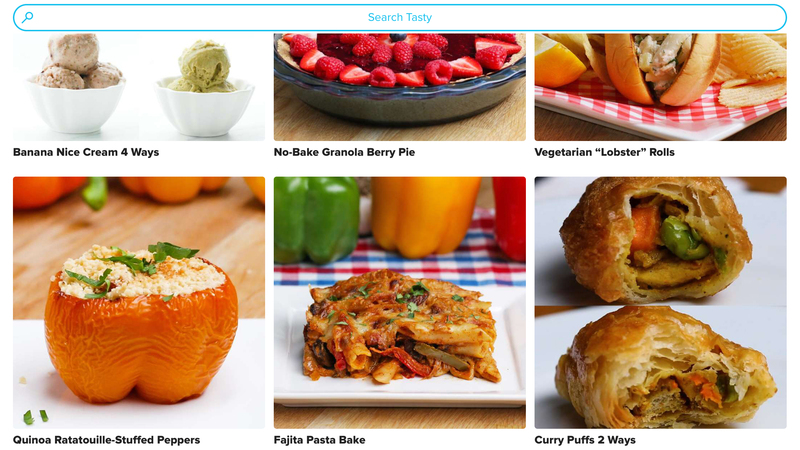 As you launch Kitchen Stories, you catch a glimpse of the app&apos;s mantra: "Anyone can cook". 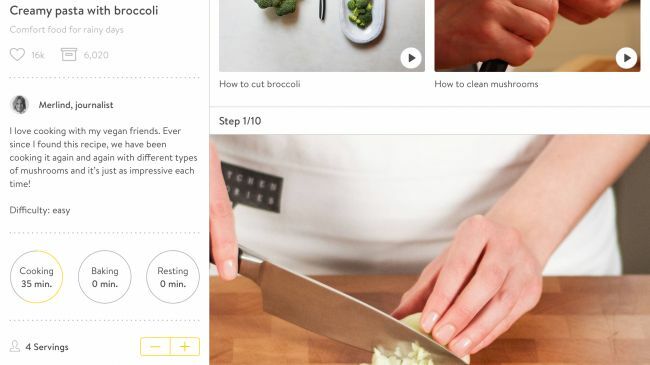 The problem is, most cooking apps (and indeed, traditional cookery books) make assumptions regarding people&apos;s abilities. Faced with a list of steps on a stark white page, it&apos;s easy to get halfway through a recipe, look at the stodge in front of you, reason something must have gone terribly wrong, and order a takeaway. Kitchen Stories offers firmer footing. You&apos;re first met with a wall of gorgeous photography. More importantly, the photographs don&apos;t stop. Beyond this, there&apos;s a shopping list, handy essentials guide, and some magazine-style articles to peruse. 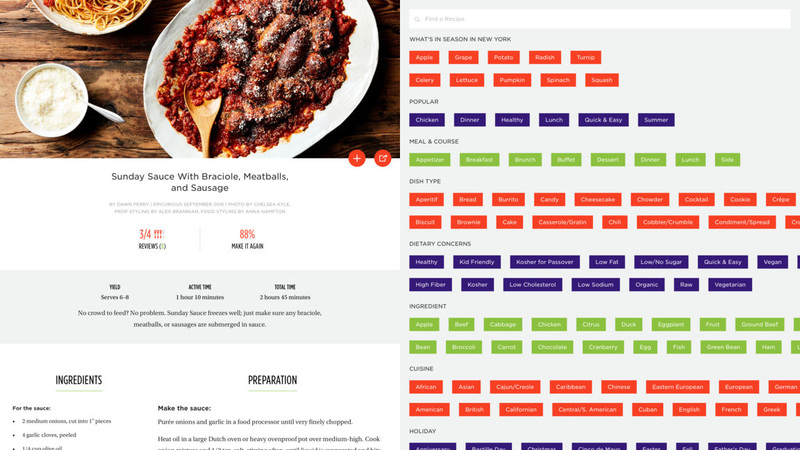 And while you don&apos;t get the sheer range of recipes found in some rival apps, the presentation more than makes up for that — especially on the iPad, which will likely find a new home in your own kitchen soon after Kitchen Stories is installed. There&apos;s a tendency for relaxation aids to be noodly and dull, but TaoMix 2 bucks the trend. 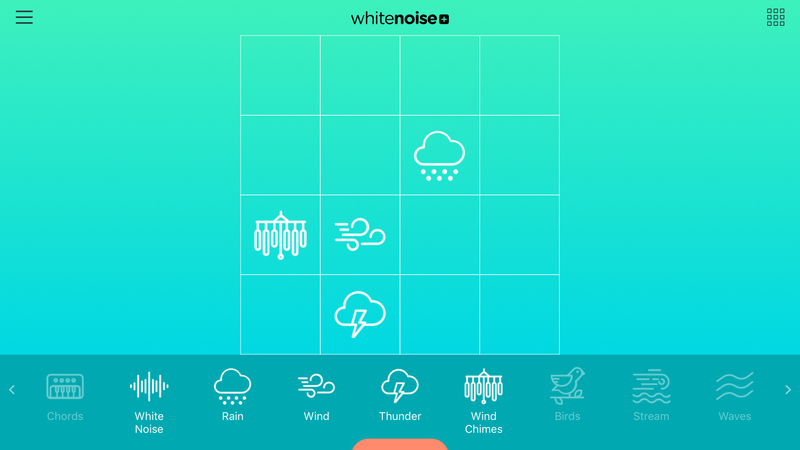 You get the usual sounds to aid relaxation (wind, rain, birds, water), but also an interface that nudges the app towards being a tool for creating a kind of ambient personal soundtrack. This makes TaoMix 2 more fun to play with than its many rivals. 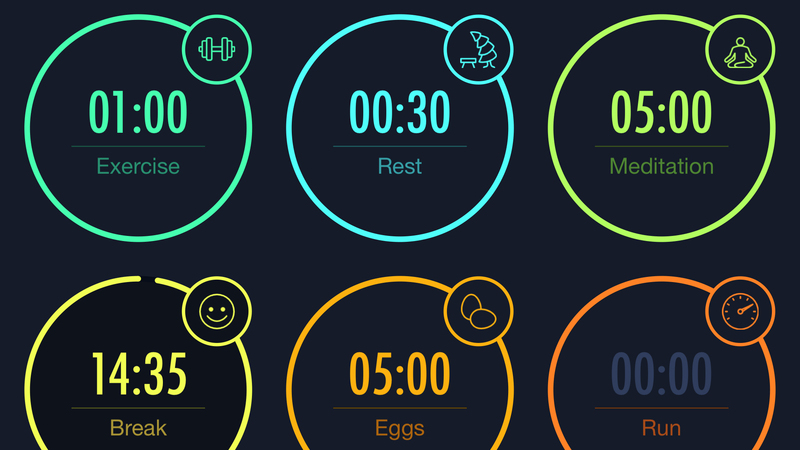 Of course, if you just want to shut the world out, that option exists too: load a soundscape you&apos;ve previously created, set a timer, and use TaoMix 2 to help you nod off. Should you want something other than what&apos;s found within the generous selection of built-in noises, packs are available for purchase (including whale sounds, &apos;Japanese garden&apos; and orchestral strings); and if you fancy something entirely more custom, you can even import sounds of your own. 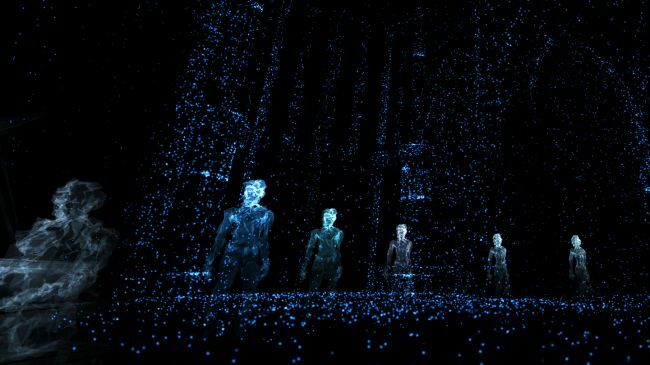 According to the developer&apos;s blurb, Zen Studio is all about helping children to relax and focus, by providing a kind of finger-painting that can only exist in the digital realm. 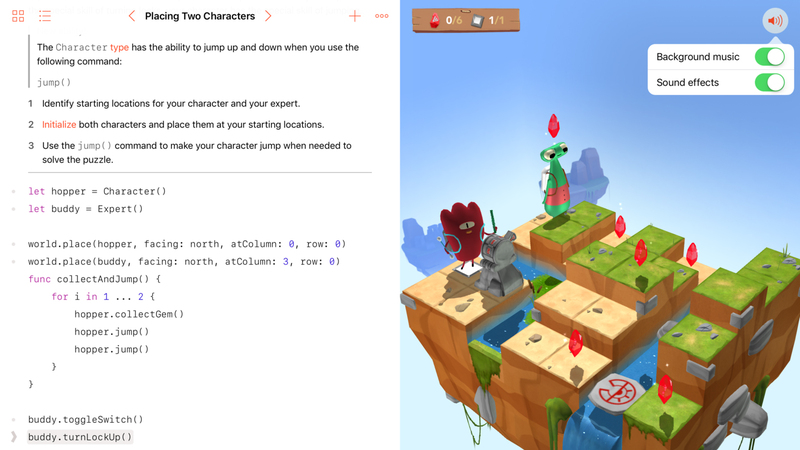 Frankly, we take issue with the &apos;children&apos; bit, because Zen Studio has a welcoming and pleasing nature that should ensure it&apos;s a hit with every iPad user. Bar the atmosphere being knocked a touch by a loud squelch noise whenever a new paint tube is selected, the mix of drawing tool and musical instrument is intoxicating. When you&apos;re done, your picture can be squirted to the Photos app, ready for sharing with the world. This is, however, a limited freebie in some ways. You get eight canvases, which can be blank or based on templates. 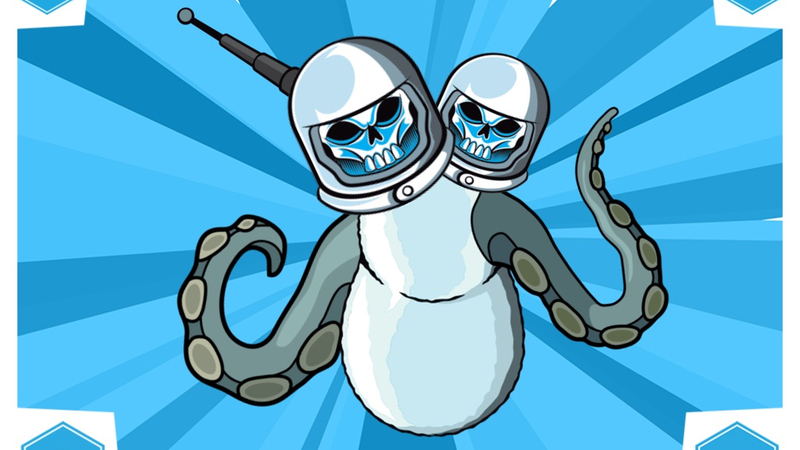 If you want more, you can buy an IAP to unlock the premium version of the app. Still, for no outlay at all, you get a good few hours of chill-out noodly fun — more, if you&apos;re happy drawing over the same canvases again and again. 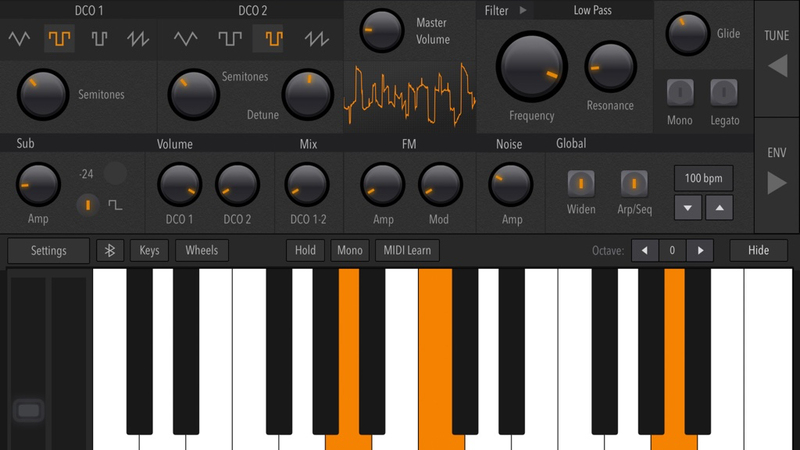 Even if you’re not overly musically inclined, there’s fun to be had here by selecting presets – many of which use a built-in user-friendly sequencer, so you can fire off a melody by holding down a single key. 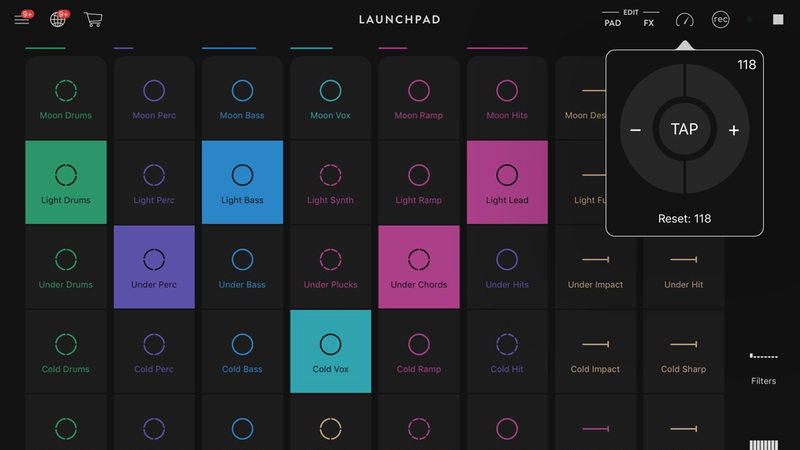 There’s loads for musicians to delve into, including Audiobus and IAA support, customizable filters, and touchpad play surfaces. 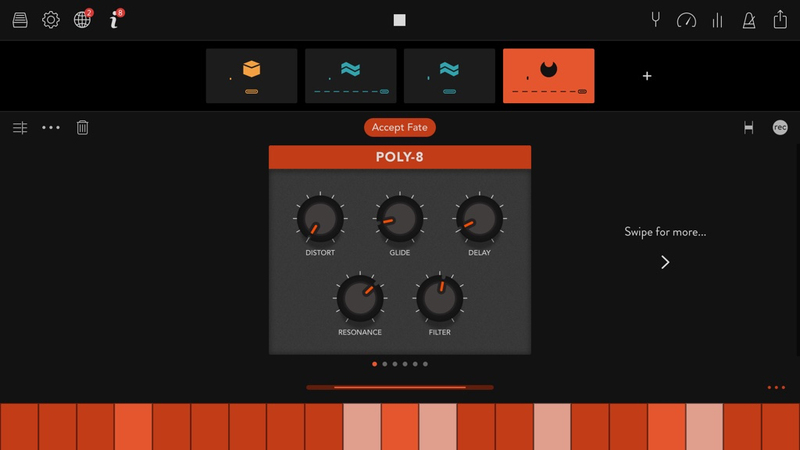 It’s hugely impressive and the sort of thing you’d usually expect to set you back north of 30 bucks, so it’s all the more surprising that Synth One is entirely free from ads and IAP – and that will always be the case, given that it’s also an open-source project. 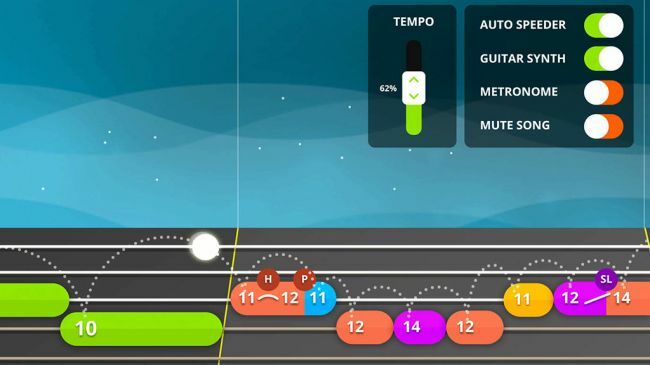 The thinking behind Auxy Music Studio is that music-making – both in the real world and software – has become too complicated. 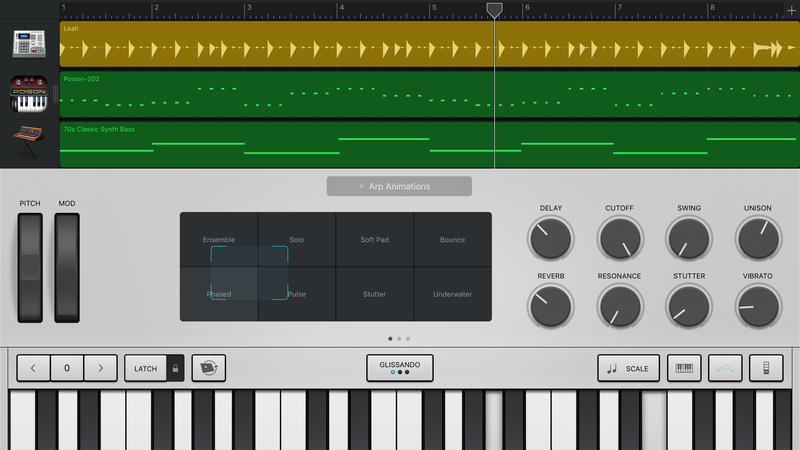 This app therefore strives to combine the immediacy of something like Novation Launchpad&apos;s loop triggers with a basic piano roll editor. 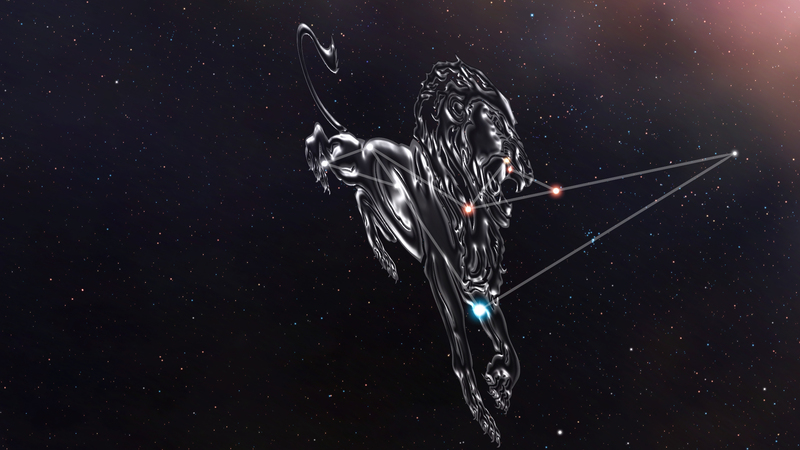 For each instrument, you choose between drums and decidedly electronic synths. 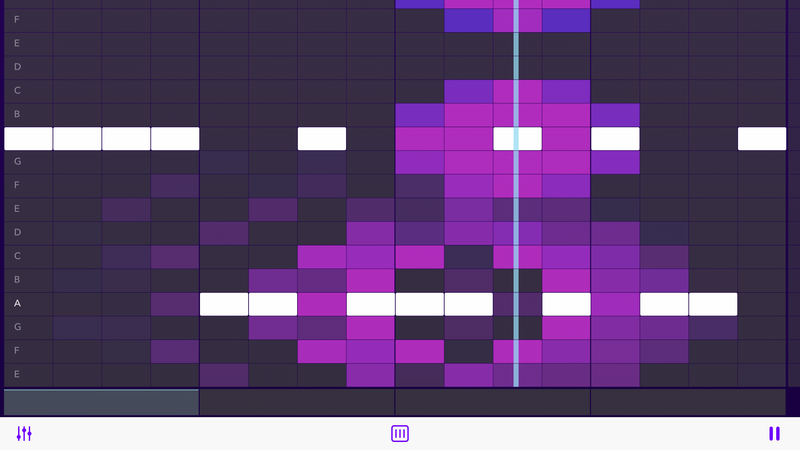 You then compose loops of between one and four bars, tapping out notes on the piano roll&apos;s grid. 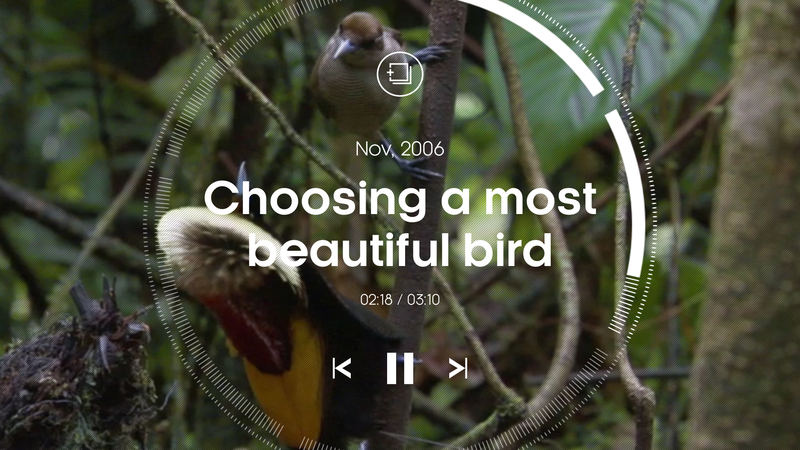 Subsequent playback occurs on the overview screen by tapping loops to cue them up. 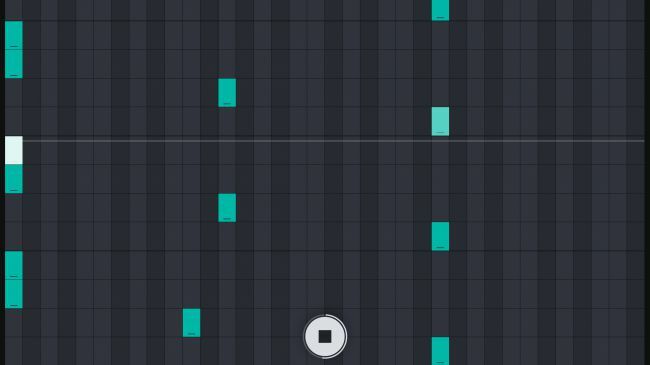 For those who want to go a bit further, the app includes arrangement functionality (for composing entire songs), along with Ableton Link and MIDI export support. Auxy&apos;s therefore worth a look for relative newcomers to making music and also pros after a no-nonsense scratchpad. This is where Figure comes in. 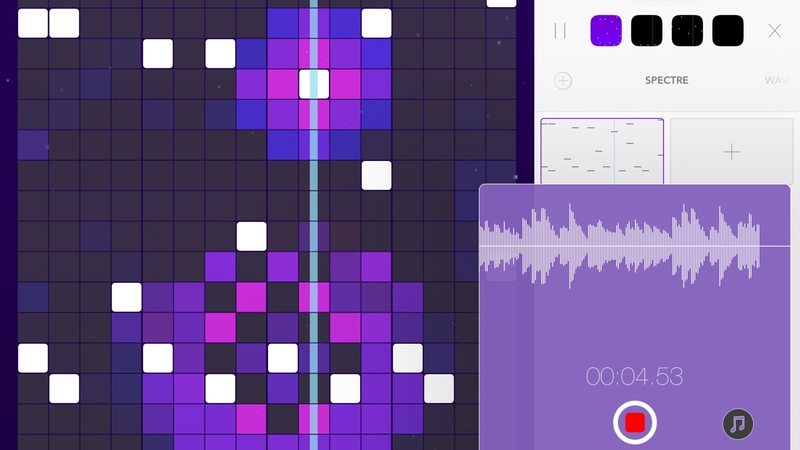 Within seconds, you can craft thumping dance loops, comprising drum, bass and lead parts. 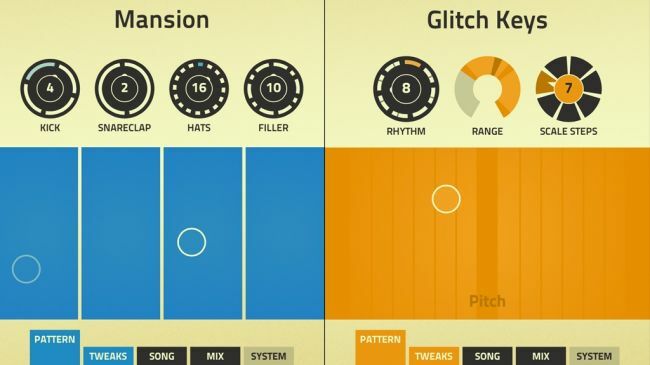 The sounds are great, being based on developer Propellerhead Software&apos;s much-loved Reason. They can be manipulated, too, so your exported loops sound truly unique. 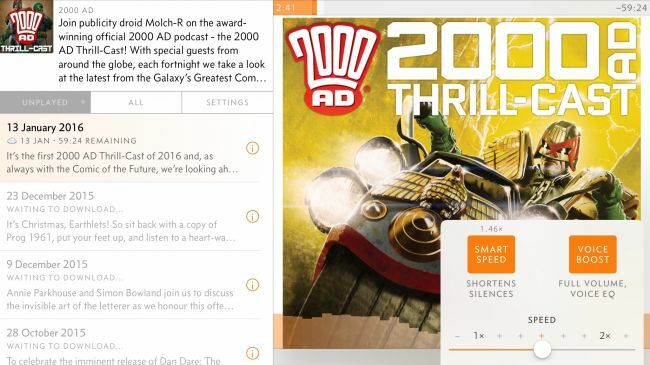 Podcasts are mostly associated with small portable devices – after all, the very name is a mash-up of &apos;iPod&apos; and &apos;broadcast&apos;. But that doesn&apos;t mean you should ignore your favourite shows when armed with an iPad rather than an iPhone. 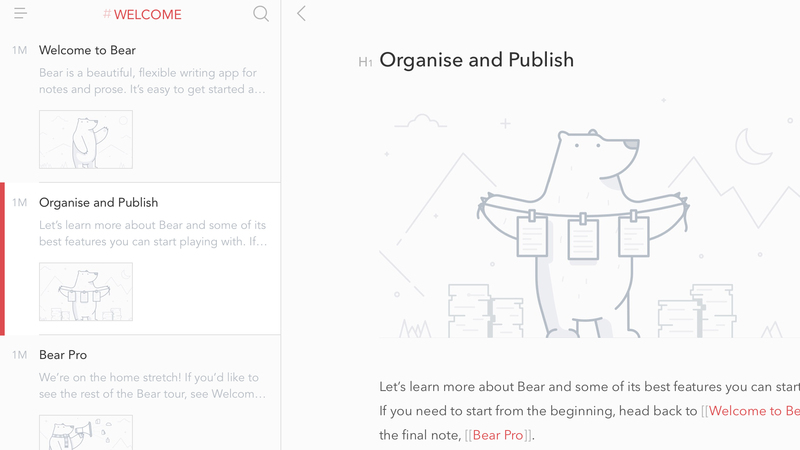 Otter is a voice memos app with a fine line in automatic transcription. Talk to your iPad, and the app should do an excellent job of getting your words down (punctuation and all), so you don’t have to bother typing them out later. You get 600 free minutes per month – 6000 if you move to a paid tier. 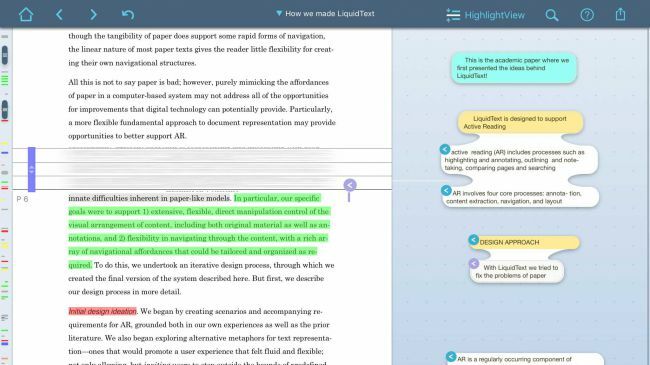 Notes can have imagery added inline, and you can highlight words or entire lines. Usefully, the app attempts to extract meaning from longer passages, giving you summary keywords to scan. Should you need to edit transcribed text, that’s possible, too. 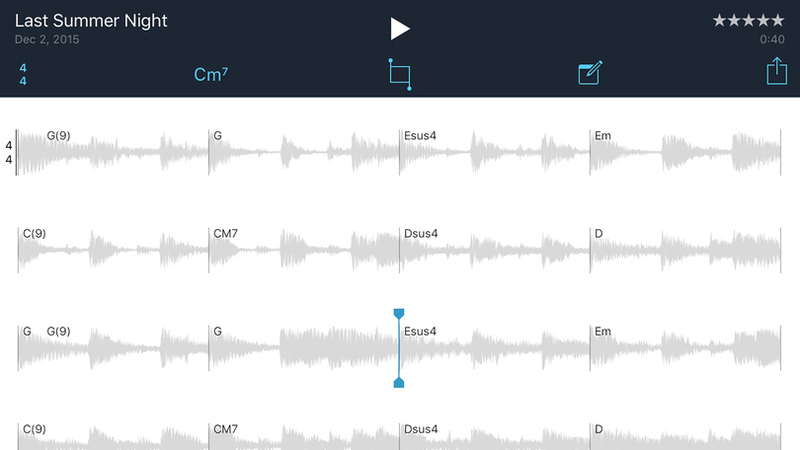 Ultimately, the app’s perhaps less useful for recording on iPad – although it works well enough. 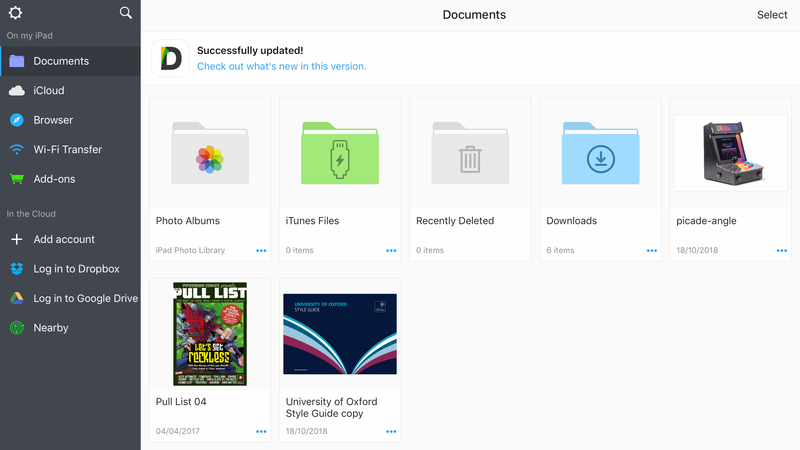 But with cloud sync, and features for working in teams, it’s an excellent option for getting at and using content you&apos;ve recorded on your iPhone. 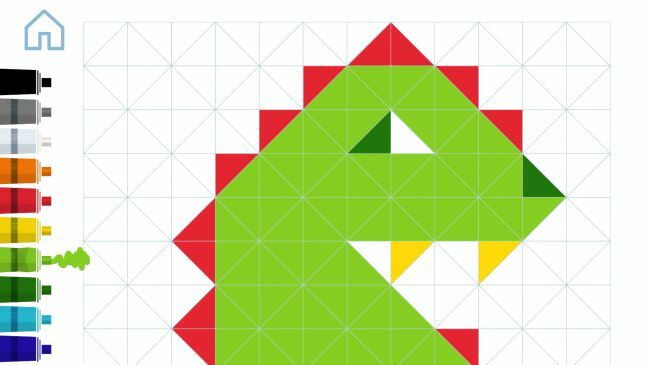 DuckDuckGo Privacy Browser wants the internet to leave you alone. Specifically, it doesn’t want you being tracked. 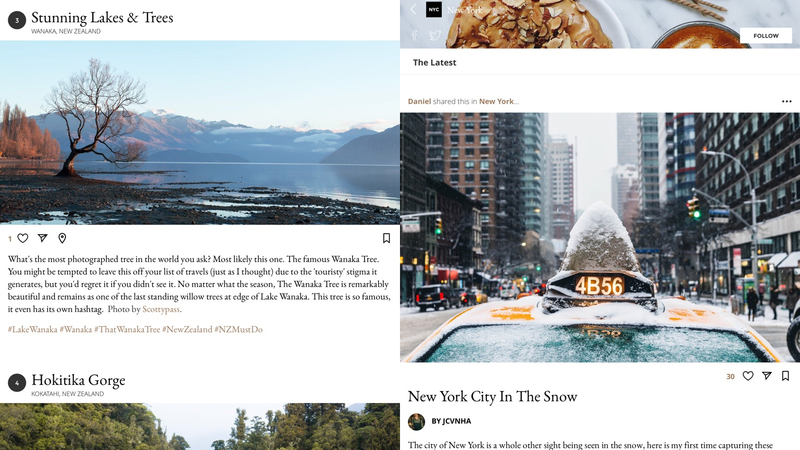 It comes across like a stripped-back alternative to Safari that’s determined to have you leave no trace. 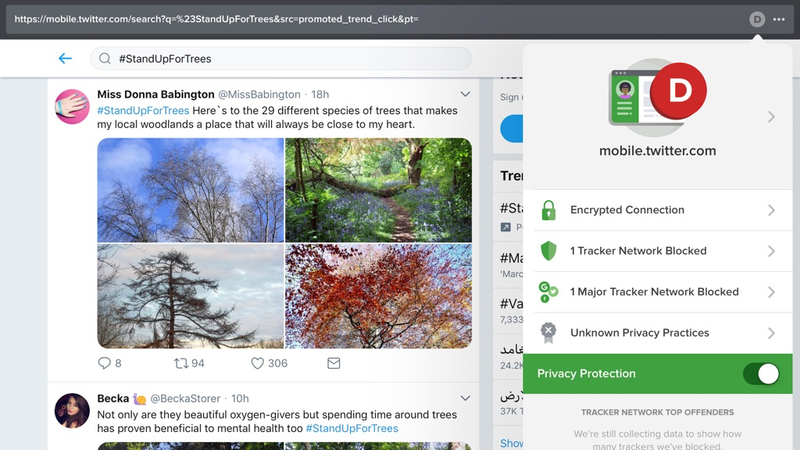 Third-party trackers won’t follow you as you browse, meaning no relentless and suspiciously targeted adverts because you several days back happened to check out a nice new TV online. Sites are forced to use encrypted connections where available, and your searches are not tracked. 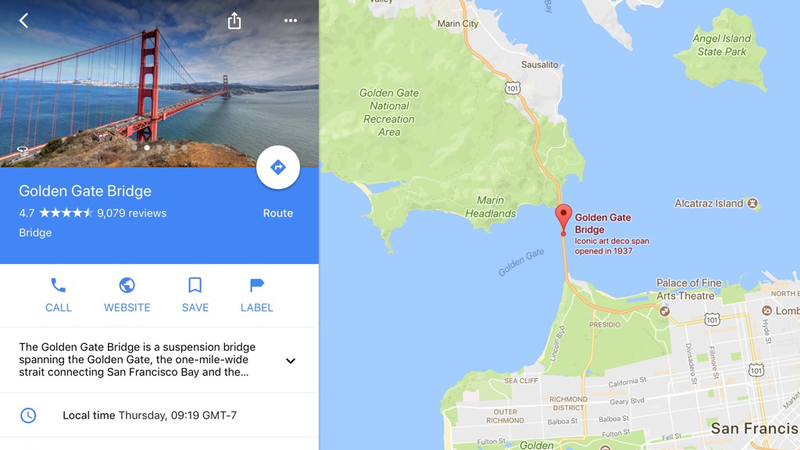 The app grades sites you visit, too; and so even if you usually use Safari, DuckDuckGo gives you insight into any site’s underlying privacy measures. Also, if all of that doesn’t go quite far enough, and you want your DuckDuckGo browsing history to be nuked from orbit, a tap is all that takes! So while you still get a typical page view, you can pinch to collapse passages you&apos;re not interested in and also compare those that aren&apos;t adjacent. 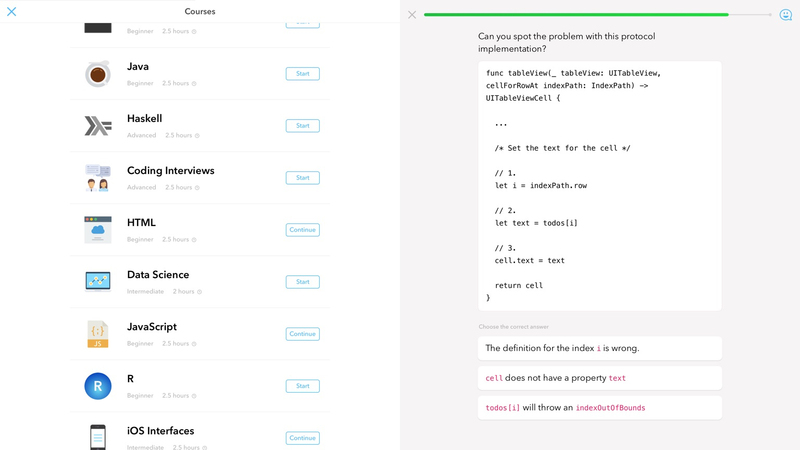 There&apos;s a &apos;focus&apos; view that shows only annotated sections, and you can even select chunks of text and drag them to the sidebar. 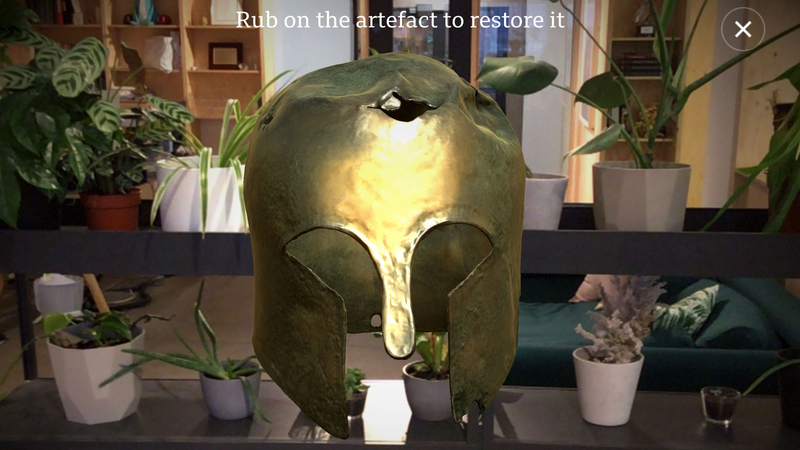 Tap one of those cut-outs at a later point and its location will instantly be displayed in the main text. 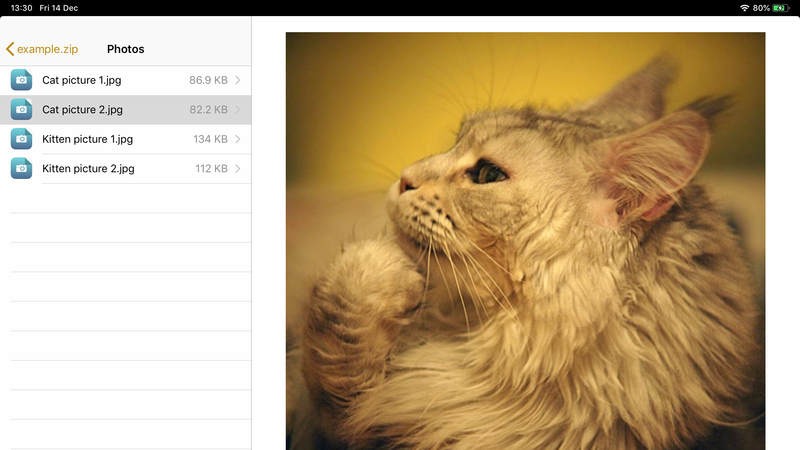 Smartly, you can save any document in the app&apos;s native format, export it as a PDF with comments, or share just the notes as an RTF. 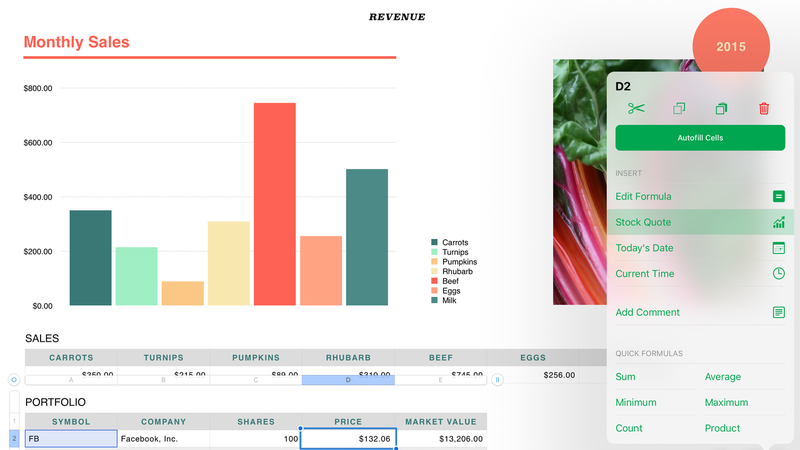 Instead of forcing workmanlike grids of data on you, Numbers has you think in a more presentation-oriented fashion. Although you can still create tables for totting up figures, you’re also encouraged to be creative and reader-friendly regarding layout, incorporating graphs, imagery, and text. On iPad, it’s all tap – and finger – friendly, too. PCalc Lite&apos;s existence means the lack of a built-in iPad calculator doesn&apos;t bother us. For anyone who wants a traditional calculator, it&apos;s pretty much ideal. 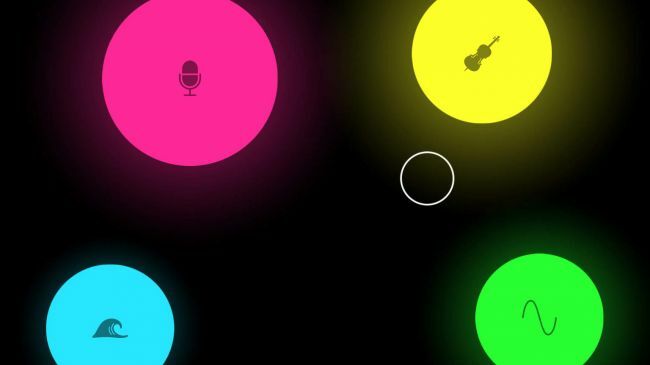 The big buttons beg to be tapped, and the interface can be tweaked to your liking, by way of bolder and larger key text, alternate display digits, and stilling animation. 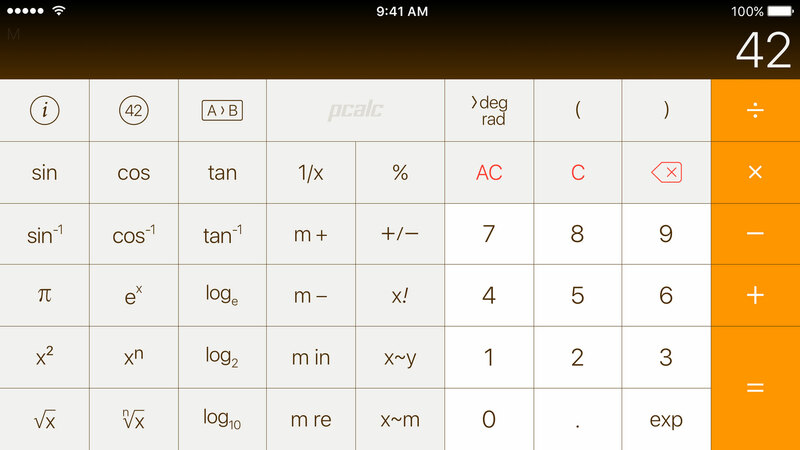 Beyond basic sums, PCalc Lite adds some conversions, which are categorised but also searchable. If you&apos;re hankering for more, IAP lets you bolt on a number of extras from the paid version of PCalc, such as additional themes, dozens more conversions, alternate calculator layouts, a virtual paper tape, and options for programmers and power users. 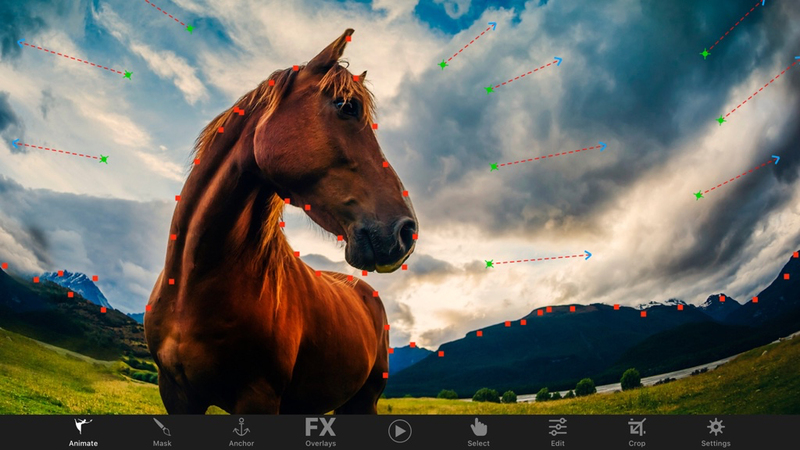 That limitation goes away if you pay for the subscription IAP – which also gives you HD export and additional tools, including color shift and selective HSL – but as a freebie, Infltr ably does the business. 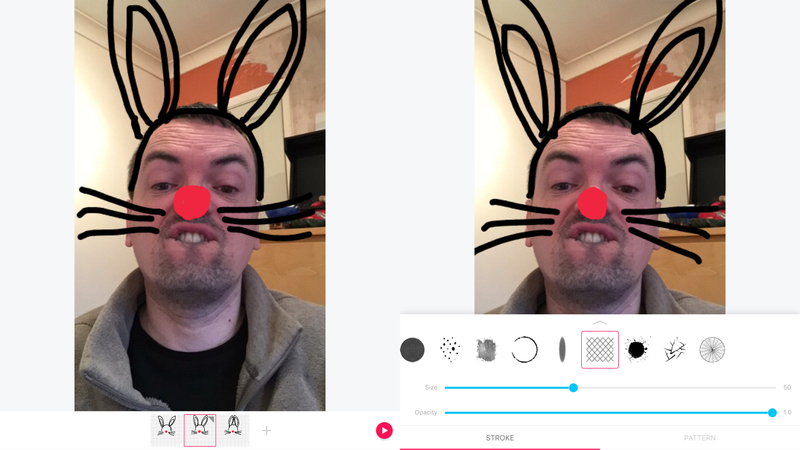 A no-brainer download for iPad users keen on fixing their snaps. It&apos;s become apparent that Adobe – creators of photography and graphic design powerhouses Photoshop and Illustrator – don&apos;t see mobile devices as suitable for full projects. 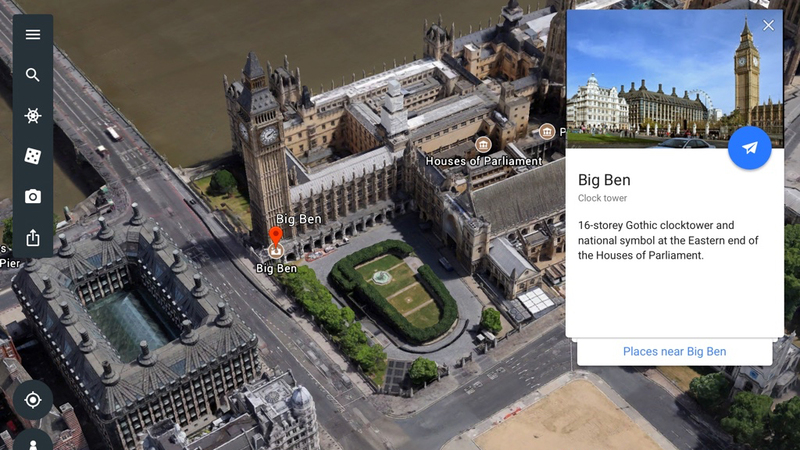 However, the company&apos;s been hard at work on a range of satellite apps, of which Photoshop Fix is perhaps the most impressive. 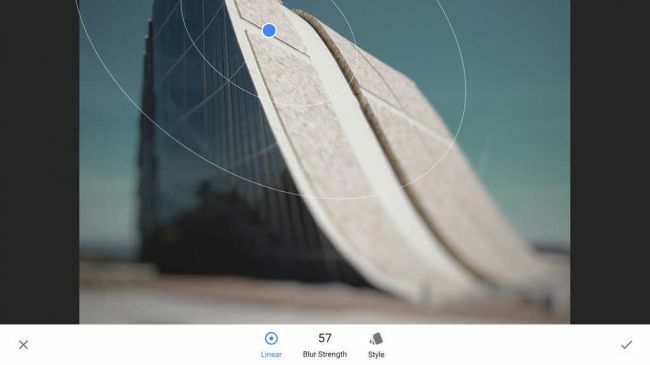 Elsewhere, you can smooth, heal, color and defocus a photo to your heart&apos;s content, before sending it to Photoshop on the desktop for further work, or flattening it for export to your Camera Roll. It&apos;s particularly good when used with the Apple Pencil (still a funny name) and the iPad Pro, such is the power and speed of that device and input method. 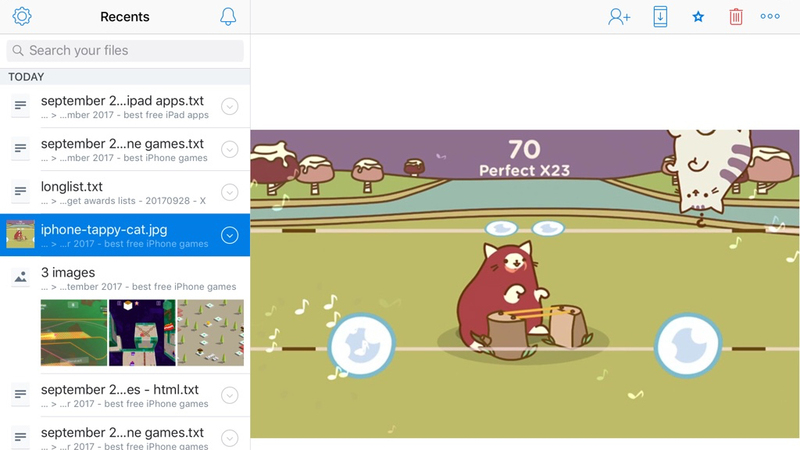 The App Store&apos;s awash with alternate cameras with editing smarts, but MuseCam warrants a place on your iPad&apos;s home screen nonetheless. 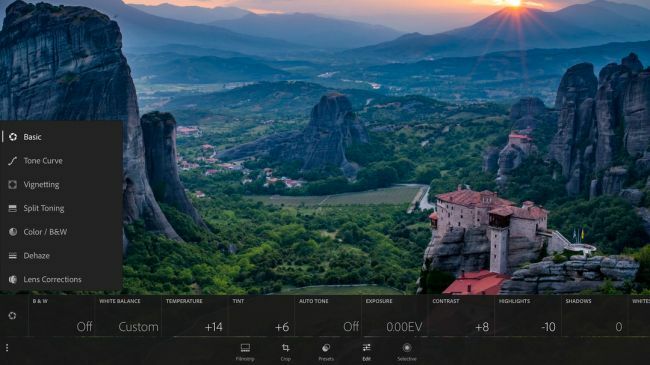 As a camera, it&apos;s fine, with an on-screen grid and plenty of manual settings. But on Apple&apos;s tablet, it&apos;s in editing that MuseCam excels. 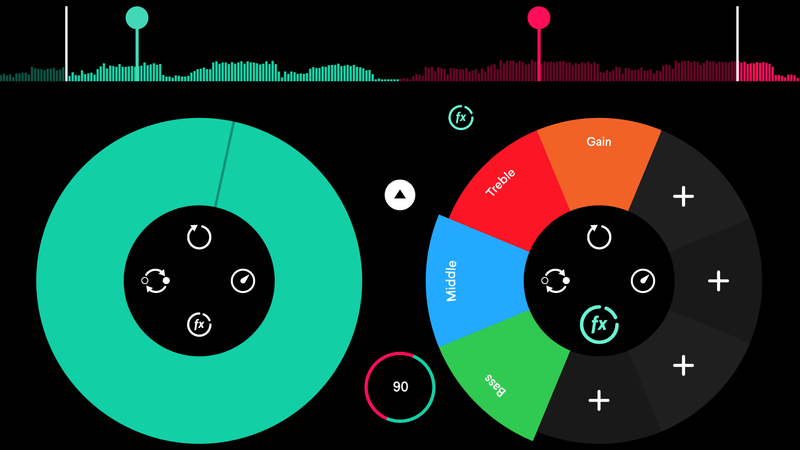 The interface is bold, efficient, and usable, making it accessible to relative newcomers; but there&apos;s also enough depth here to please those wanting a bit more control, including the option to save tweaks as custom presets. 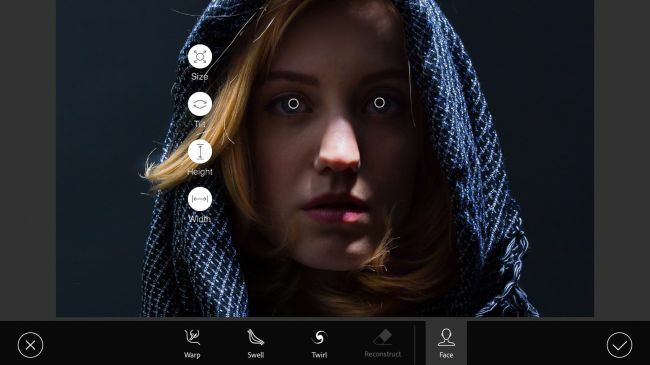 Although Photofy includes a decent range of tools for performing typical edits on photos – including adjustments, cropping, saturation, and the like – this app is more interested in helping you get properly creative. 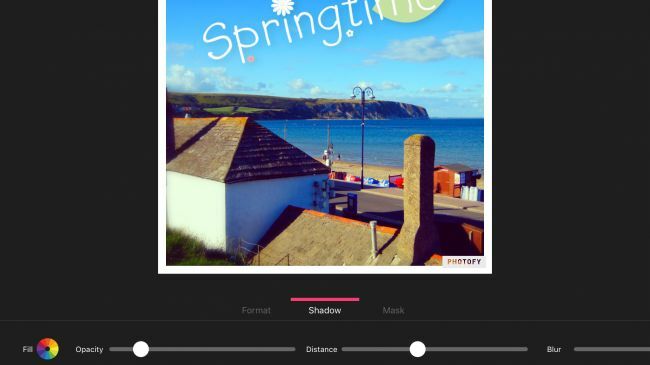 Within the photo editing tools are options for adding in-vogue blurs and producing collages; and in &apos;Text & Overlays&apos;, you&apos;ll find a wealth of options for slapping all kinds of artwork and text on top of your photographic masterpieces. 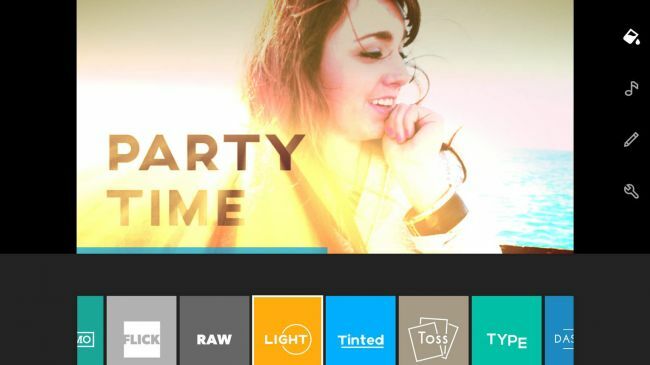 Formerly known as Replay, Quik is a video editor primarily designed for people who can&apos;t be bothered doing the editing bit. 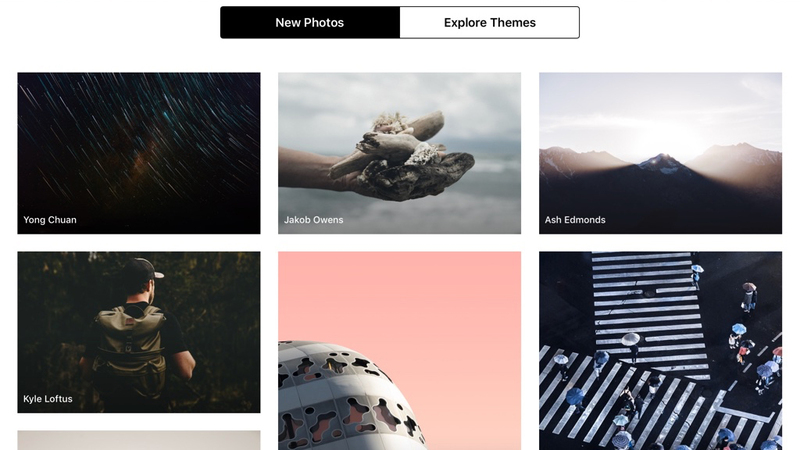 You select photos and videos, pick a theme, and sit back as Quik pieces together a masterpiece that can subsequently be saved and shared. Alternatively, the really lazy can do nothing at all and still get results – every week, Quik will serve up highlights videos, enabling you to relive favorite moments. These videos are quite random in nature, but are nonetheless often a nice surprise. Still, anyone willing to put in the slightest additional effort will find Quik rewards any minutes invested many times over. 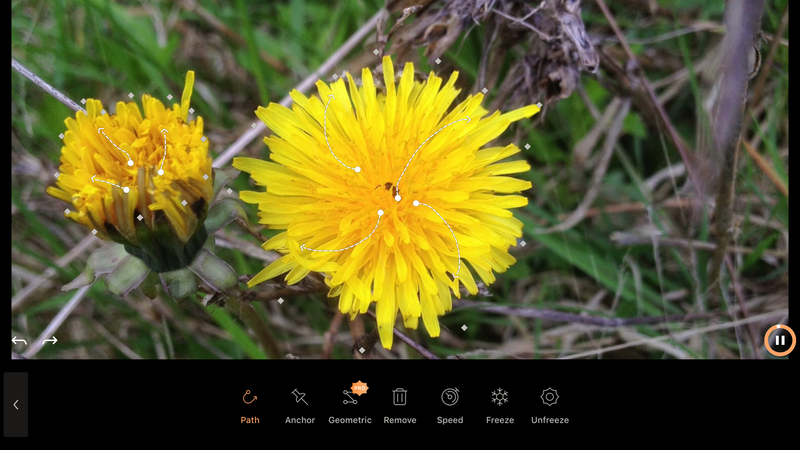 Apple&apos;s Photos app has editing capabilities, but they&apos;re not terribly exciting — especially when compared to Snapseed. 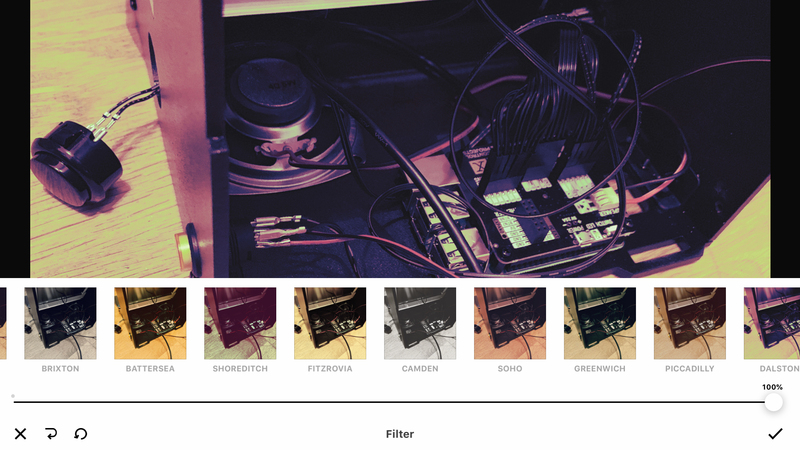 Here, you select from a number of from a number of tools and filters, and proceed to pinch and swipe your way to a transformed image. You get all the basics — cropping, rotation, healing brushes, and the like — but the filters are where you can get really creative. 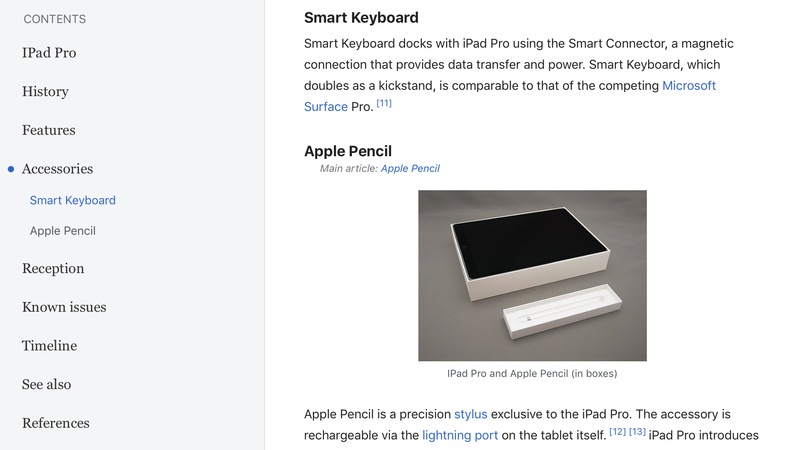 Copied is a ‘shelf’ app – a means of saving snippets so you can use them later. 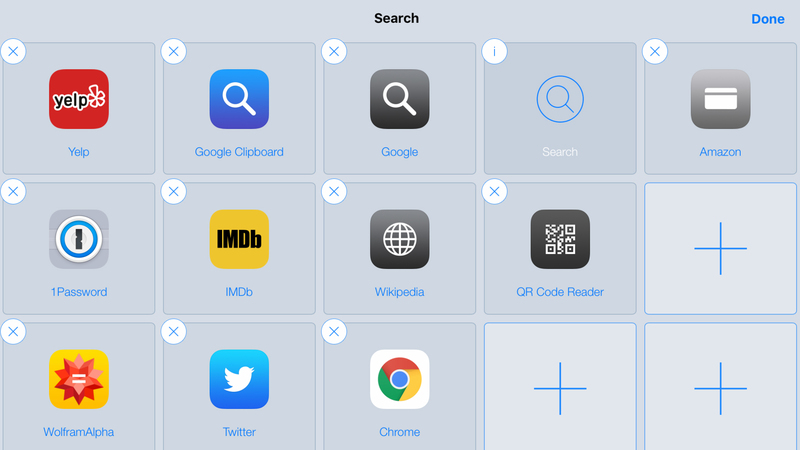 This is advantageous over the iOS clipboard, which only offers a single slot. 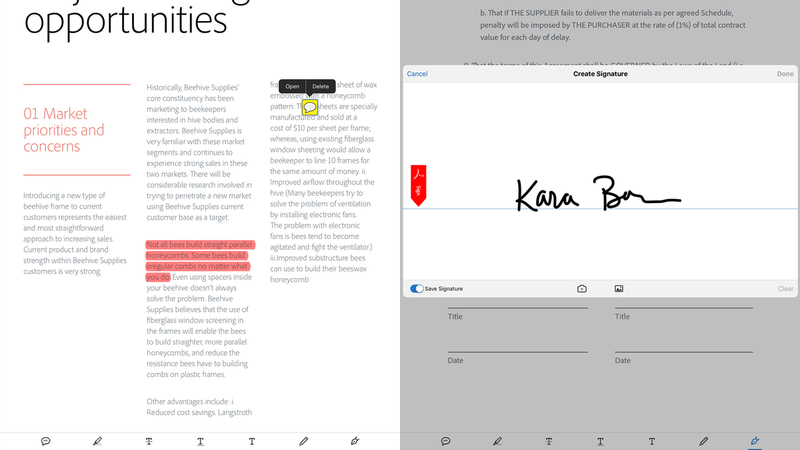 Text, images, and web page links can be sent to Copied from the clipboard or Share sheet, and the app is also drag-and-drop aware. 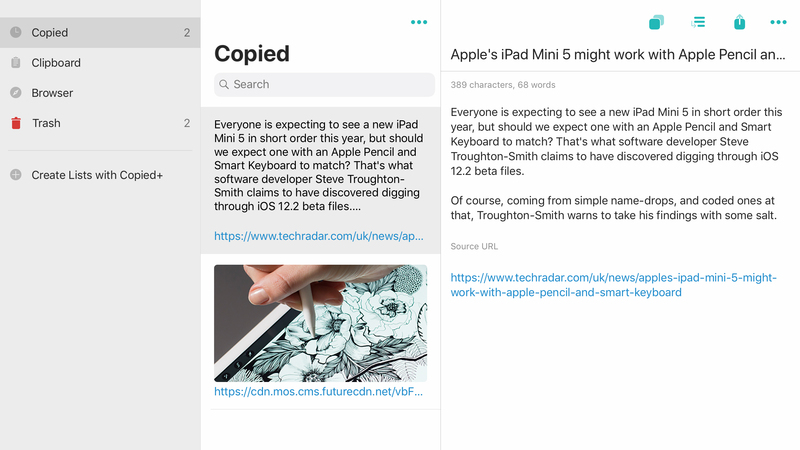 In Split View or Slide Over, Copied can be used alongside other apps while researching and writing. 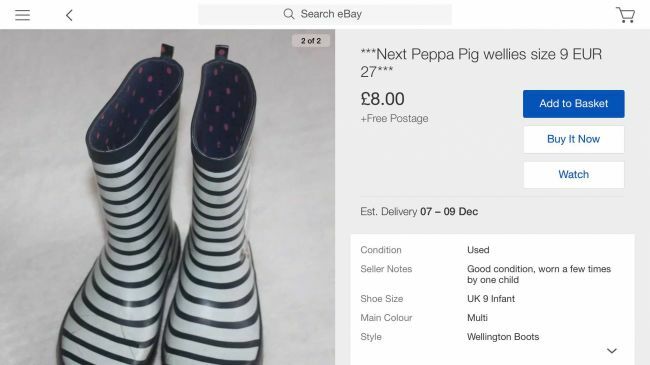 Items within Copied can be formatted prior to pasting them elsewhere, too (to extract a web page photo’s source URL rather than the image itself, for example). 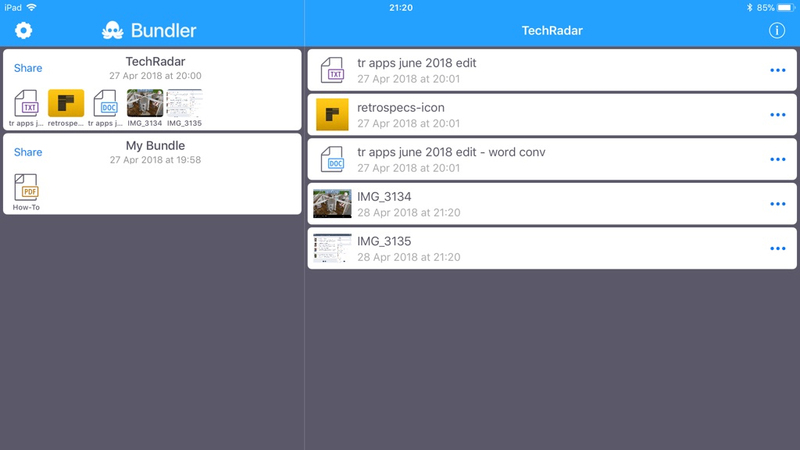 Some features sit behind a $2.99/£2.99/AU$4.49 IAP, notably clip organization (lists/rearrangement) and sync, but even in its free version, Copied is worth a download if you spend time copying words and images between iPad apps. 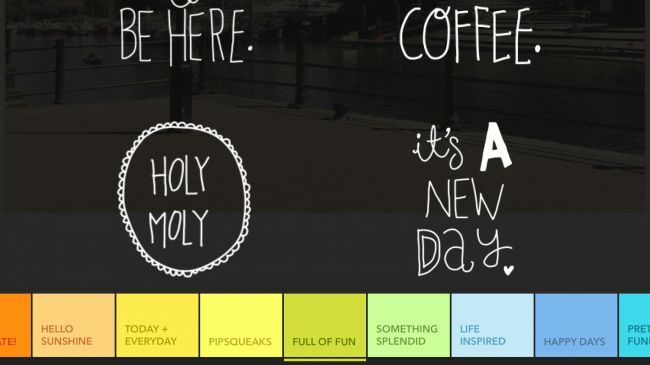 The app itself could be friendlier, and there&apos;s a tendency towards clutter. 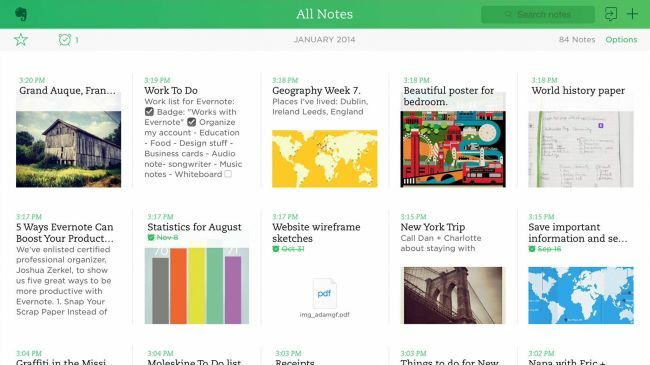 But navigation of your stored bits and pieces is simple enough, and the sheer ubiquity and reliability of Evernote makes it worthy of investigation and a place on your Home screen. 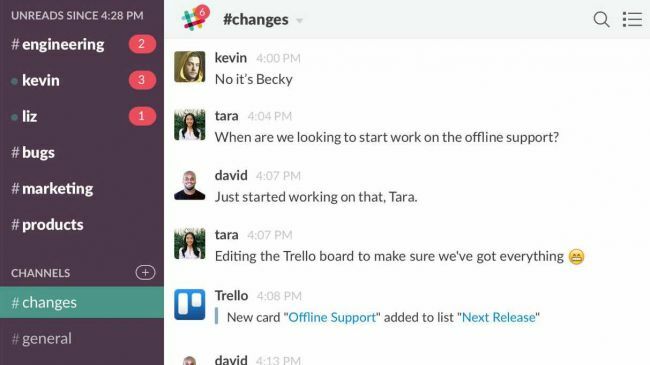 We&apos;re not sure whether Slack is an amazing aid to productivity or some kind of time vampire. Probably a bit of both. 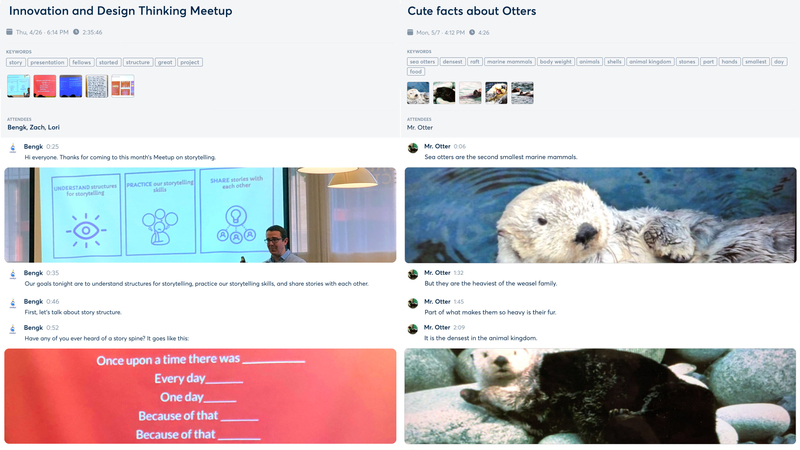 What we do know is that the real-time messaging system is excellent in a work environment for chatting with colleagues (publicly and privately), sharing and previewing files, and organising discussions by topic. 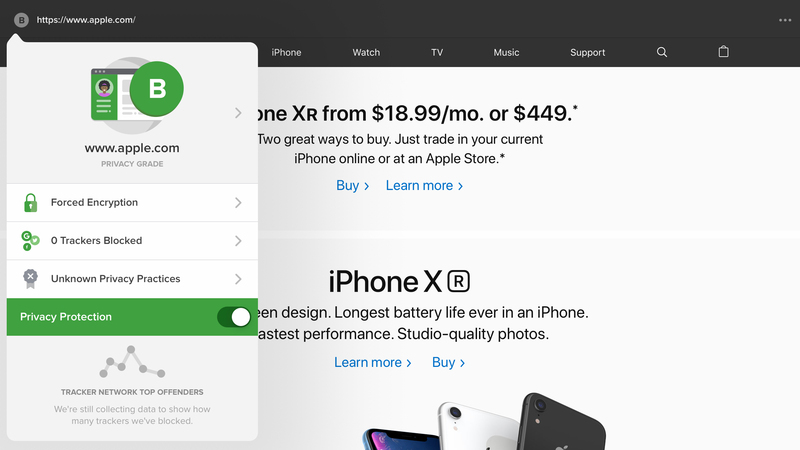 There&apos;s smart integration with online services, and support for both the iPad Pro and the iPad&apos;s Split View function. Note that although Slack is clearly designed with businesses in mind, it also works perfectly well as a means of communicating with friends if you don&apos;t fancy lobbing all your worldly wisdom into Facebook&apos;s maw. VPNs (Virtual Private Networks) are becoming very popular, due to issues people increasingly face when browsing the web. 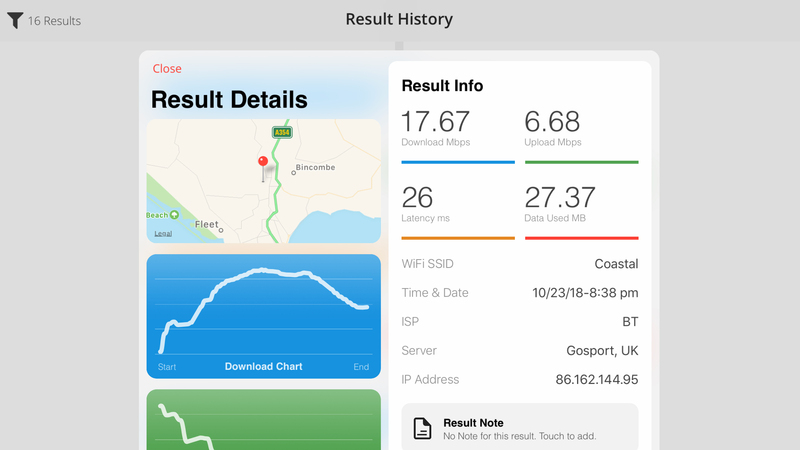 A VPN can be used to circumvent region-blocking/censorship and security issues on public Wi-Fi. 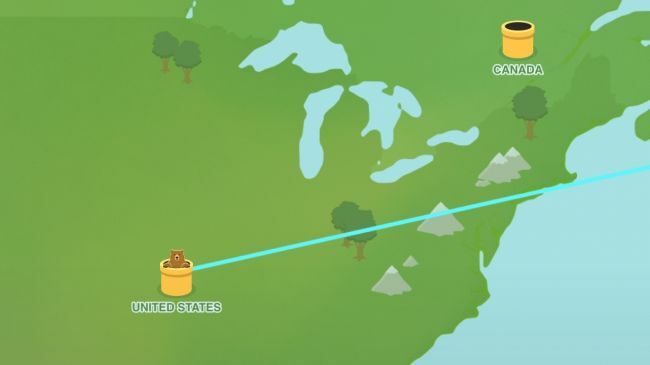 Such services can baffle people who aren&apos;t technically adept, but TunnelBear is all about the friendlier side of VPNs. With bears. After installing the app and profile, you&apos;ll have 500 MB of data per month to play with. 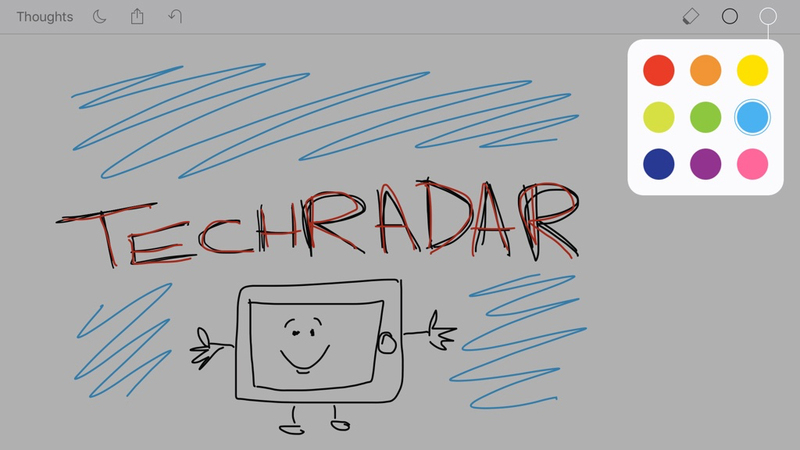 That said, TunnelBear’s exclusive TechRadar plan offers a far more generous 5GB, 10 times the amount you get if you sign elsewhere. Tweet about the product and you&apos;ll get an extra free GB. Alternatively, monthly and annual paid plans exist for heavier data users. 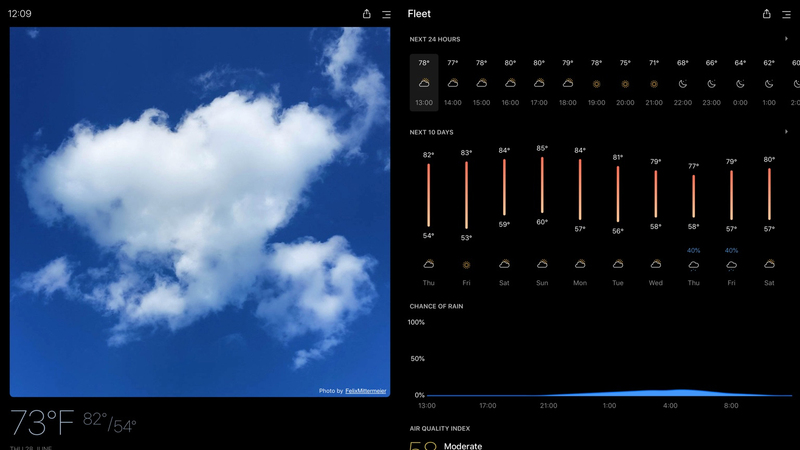 Saildrone Forecast – Weather wants to be an app you gawp at because it’s so stunning. Even as the app delivers the news that your afternoon’s going to be ruined by freak torrential rain, it will do so in a way that at least bathes your eyes in visual bliss. The dark UI is stylish, and looks very smart as bright clouds billow across the landscape, chased by snaking animated lines on an optional wind layer. It’s good at the forecasting bit, too. 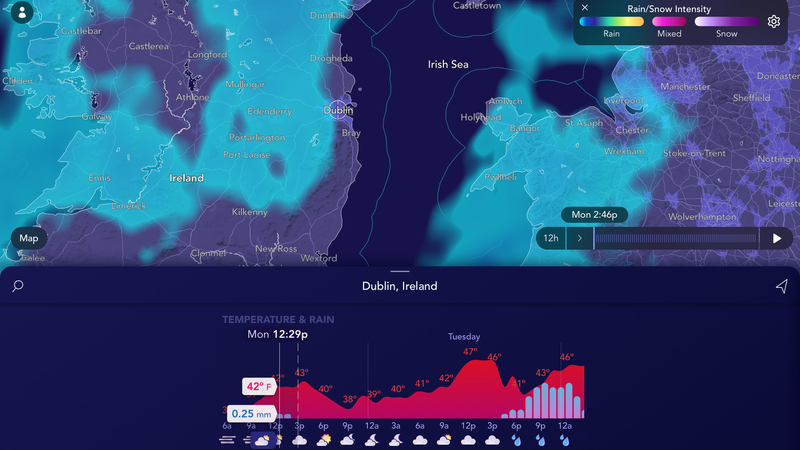 There’s unfortunately no next-hour’s rainfall graph, but you can delve into graphs for the next two days’ temperatures, rainfall, and wind speeds. Given the polish and elegance here, Saildrone feels premium. It’s therefore quite the surprise to discover not only that it’s free, but also that there aren’t even any ads. 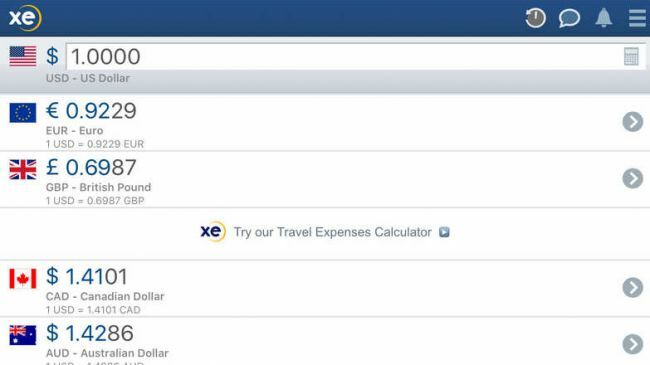 Additional filters are available to further refine your results, and you can create an account to save favorites and receive fare alerts – plus hotel listing can be added in too, should you want a more comprehensive. Current conditions are shown at the top, outlining the temperature, precipitation likelihood, and a local map. But scroll and you can delve into detailed forecasts, dew point readings, sunrise and sunset times, videos, webcams, health data and web links. The bulk of the tiles can be disabled if there are some you don&apos;t use, and most can be reordered to suit. 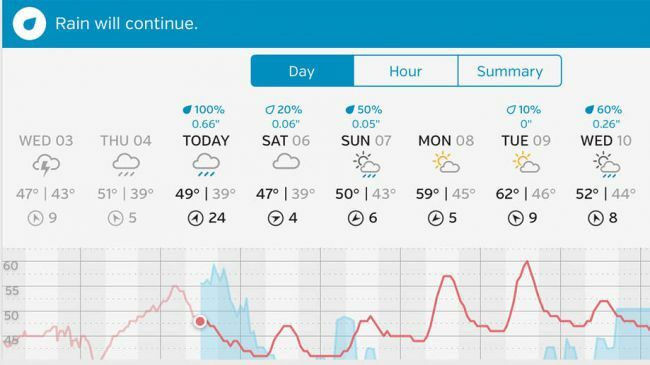 Although not making the best use of iPad in landscape, the extra screen space afforded by Apple&apos;s tablet makes the Weather Underground experience a little more usable than on iPhone, enabling faster access to tiles. And for free, it&apos;s a top-notch app, although you can also fling $1.99/£1.99/AU$2.99 at it annually if you want rid of the unobtrusive ads.